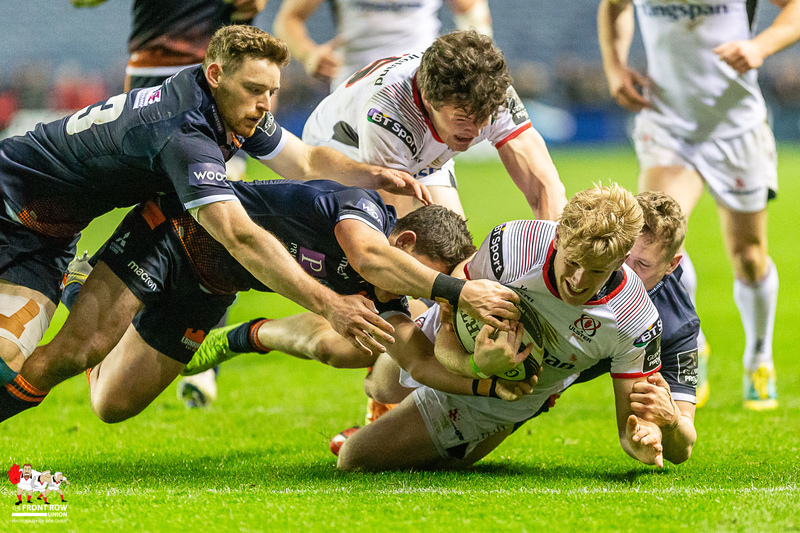 Friday 12th April 2019. 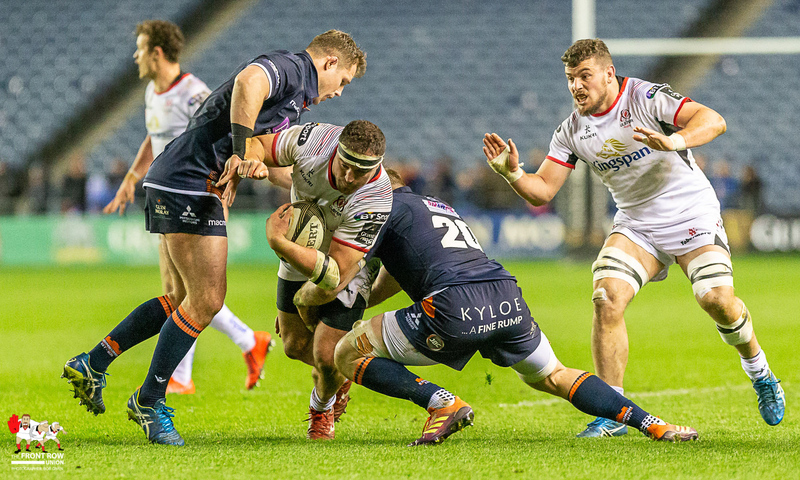 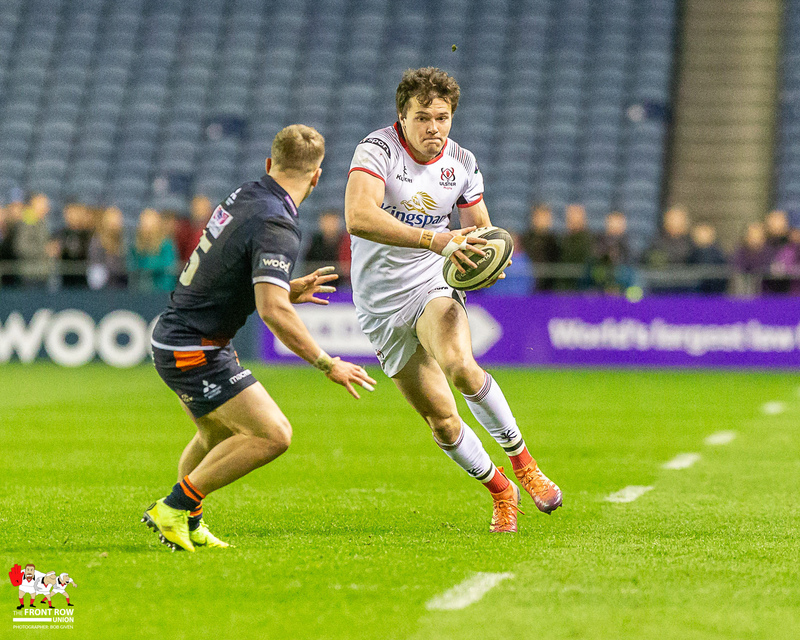 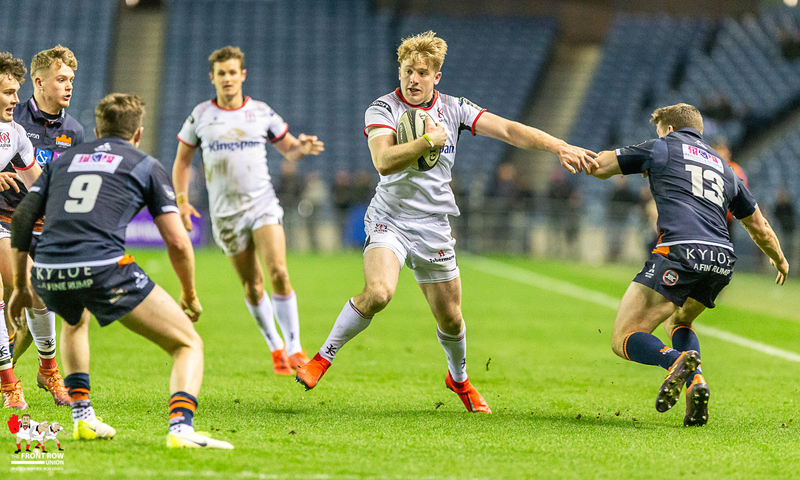 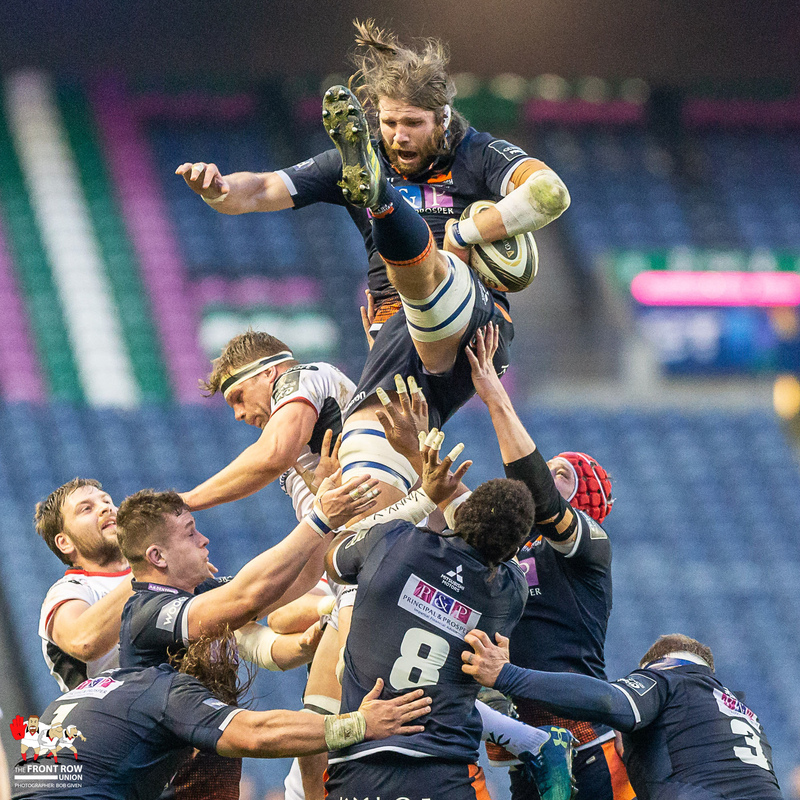 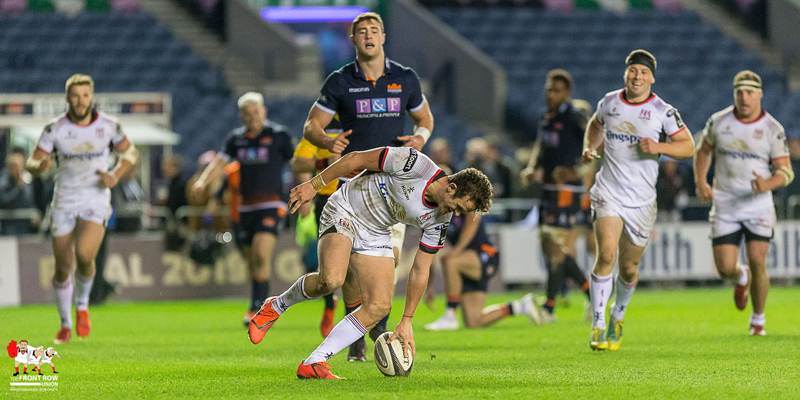 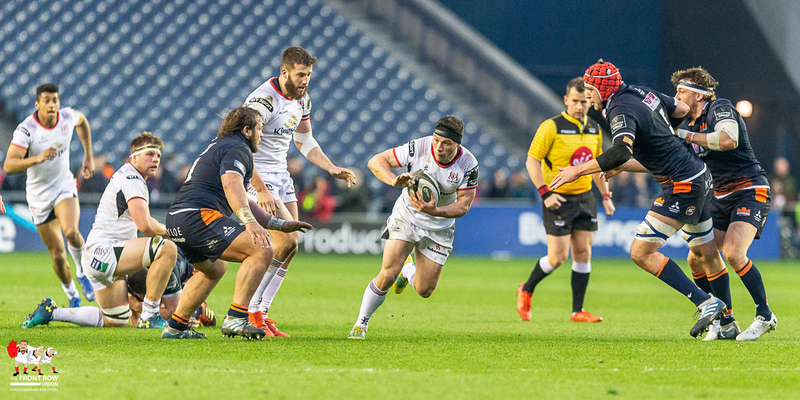 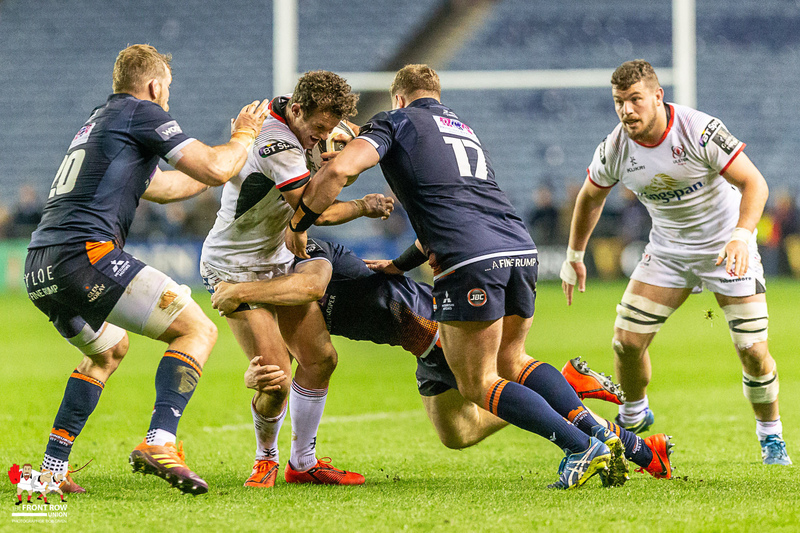 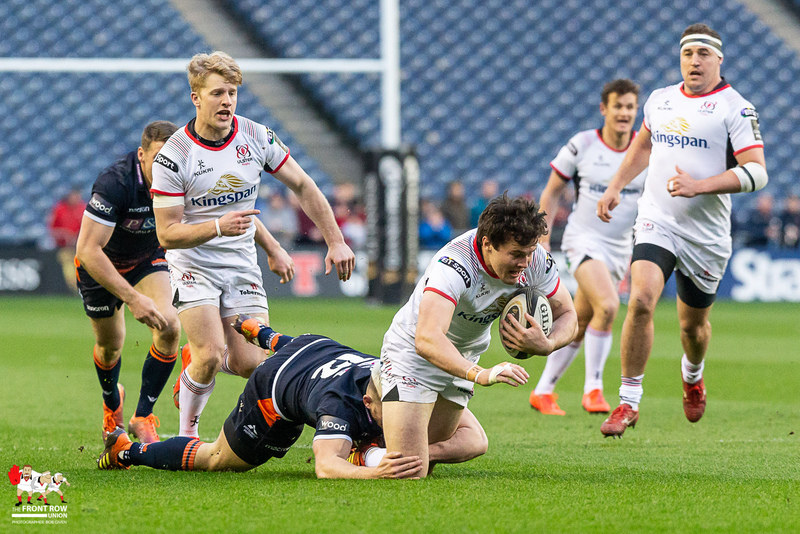 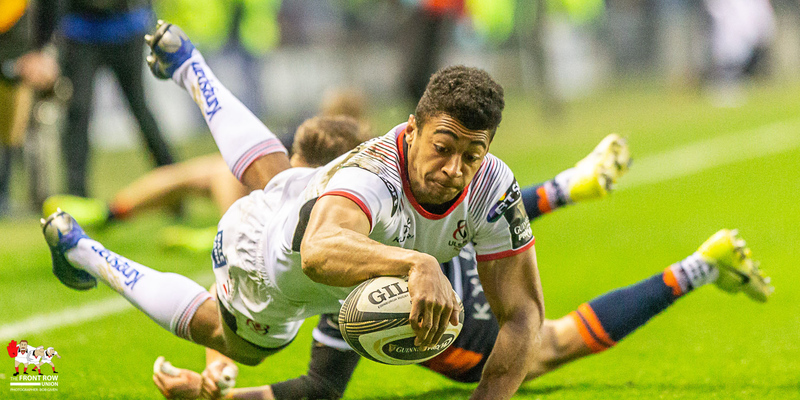 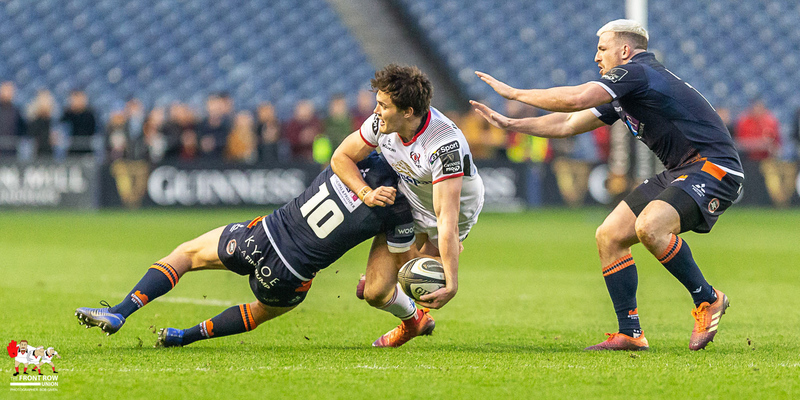 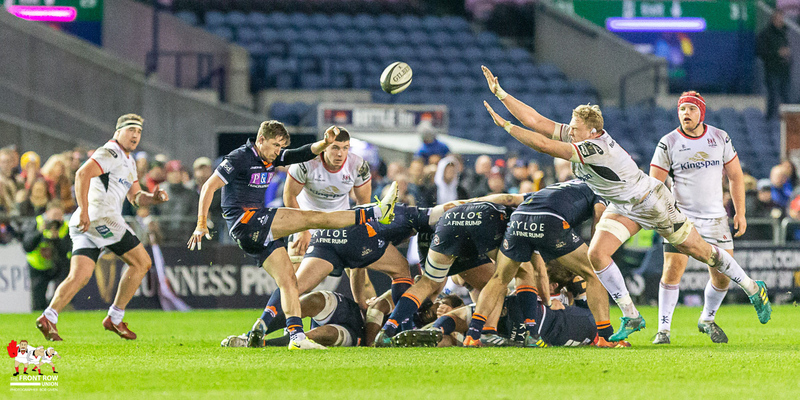 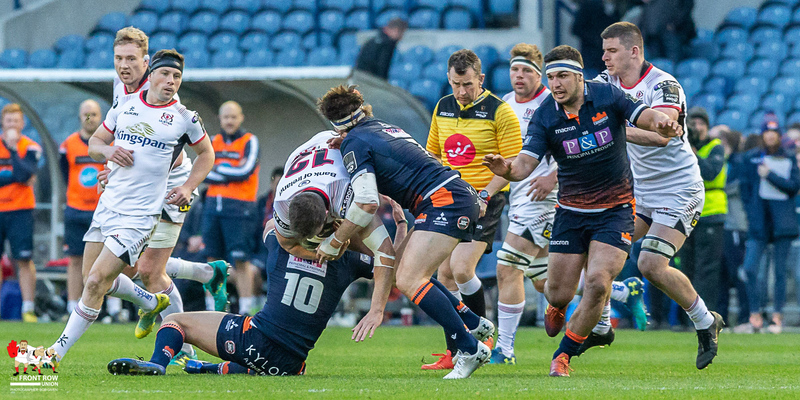 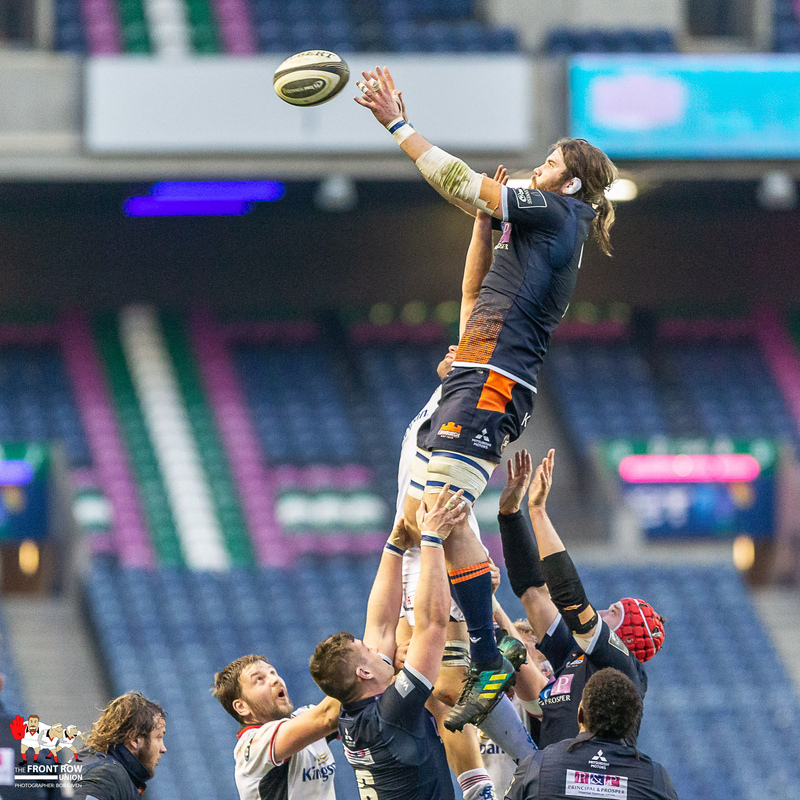 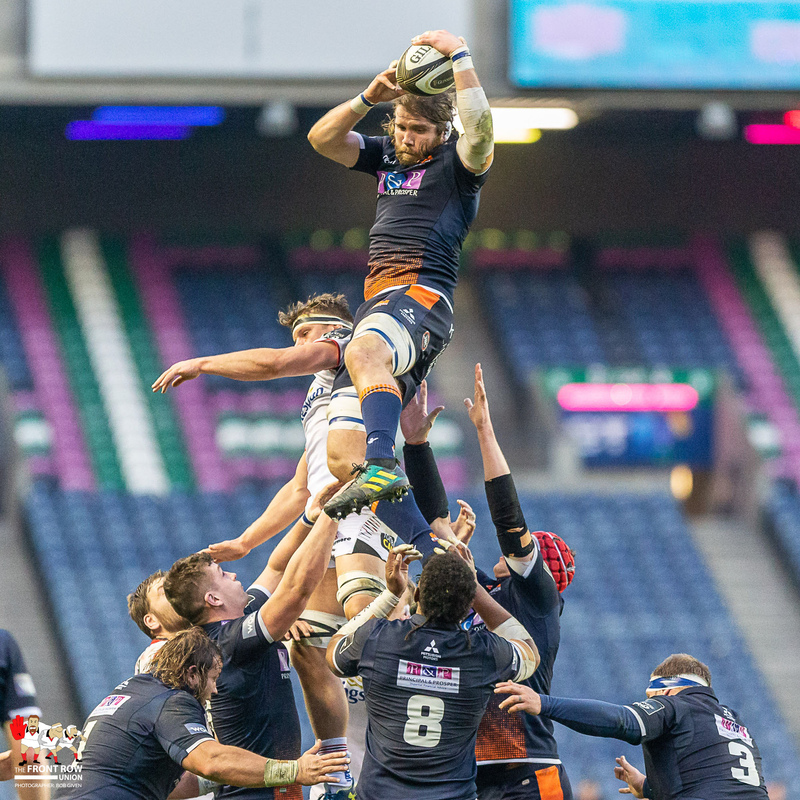 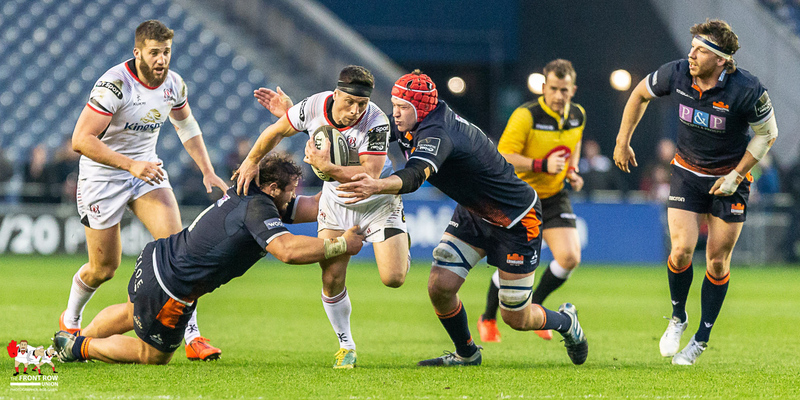 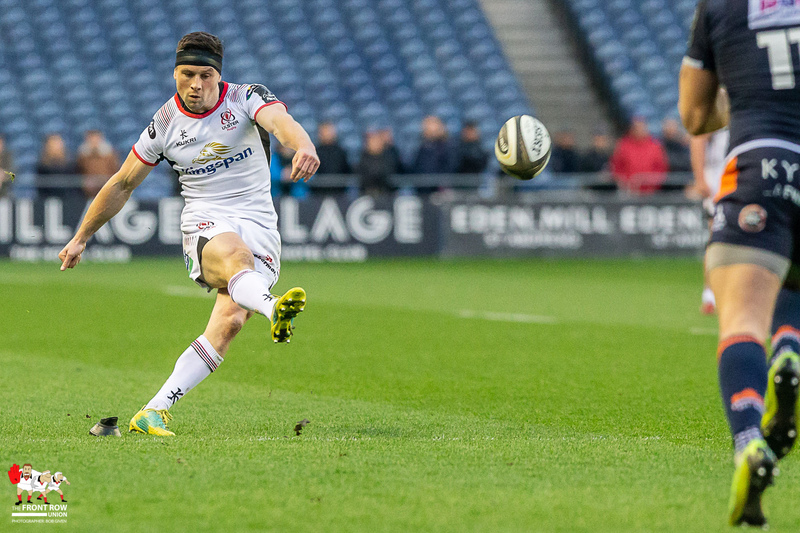 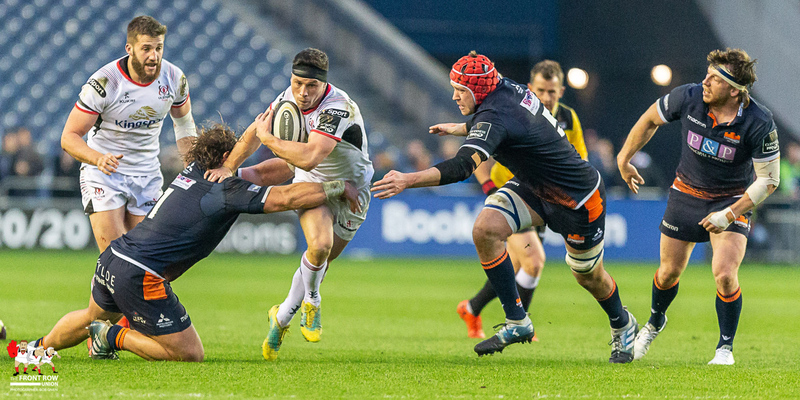 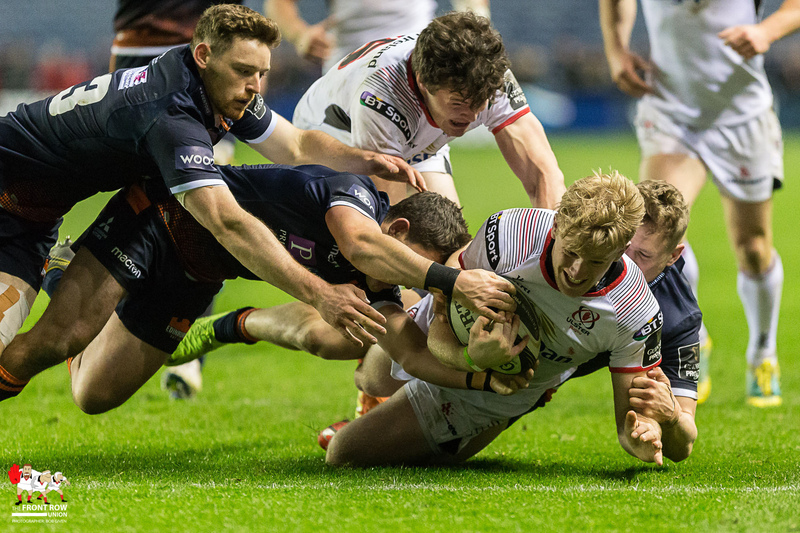 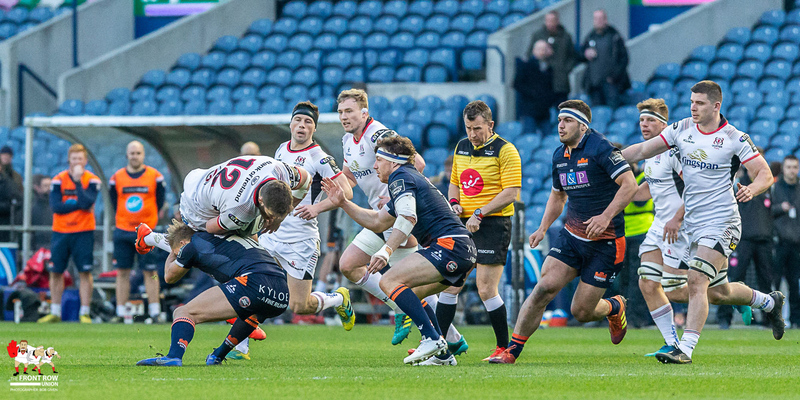 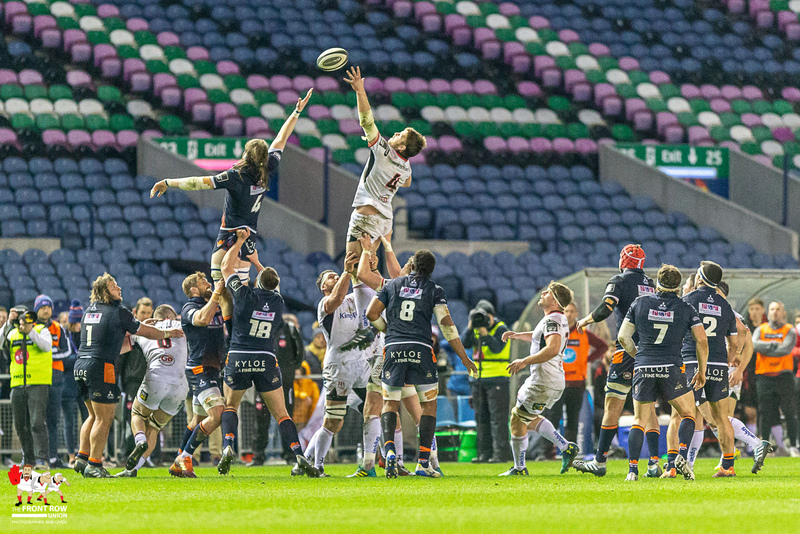 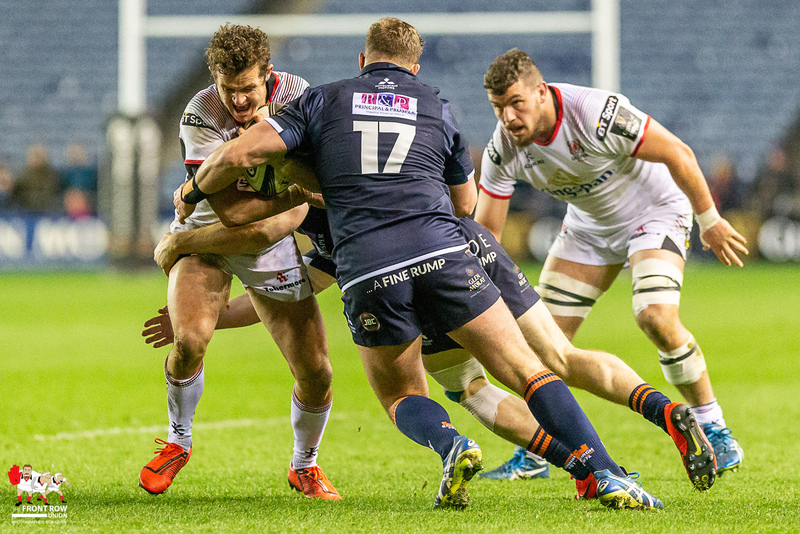 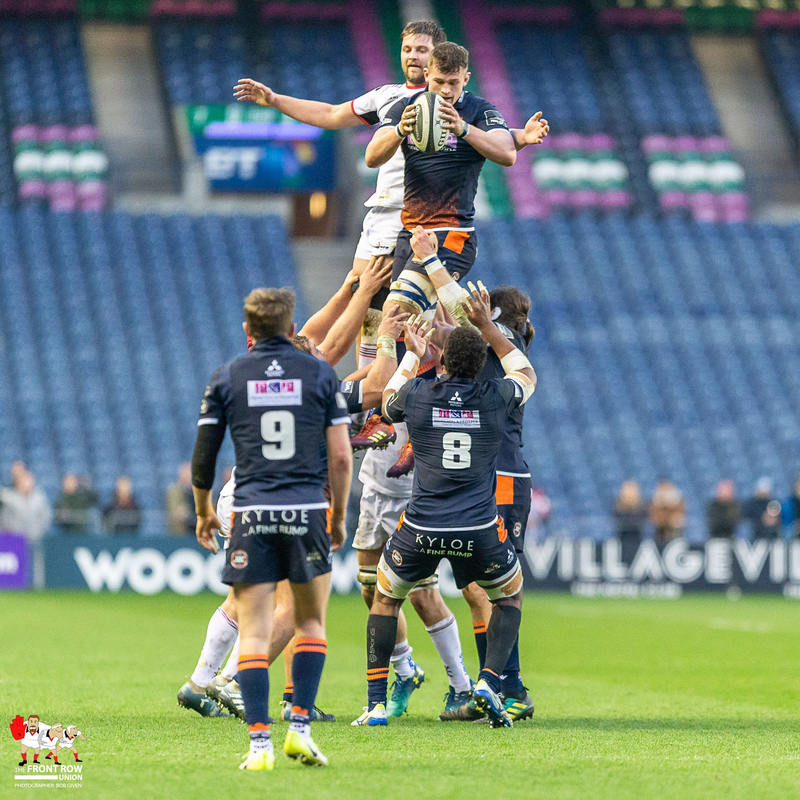 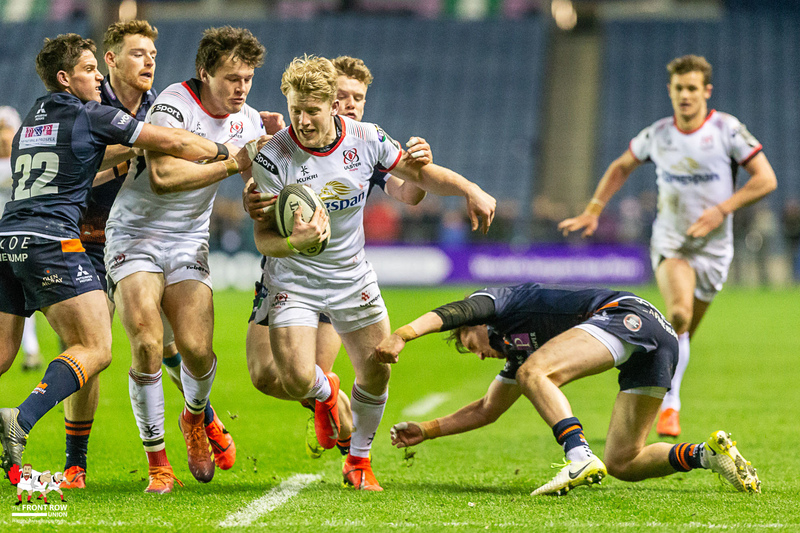 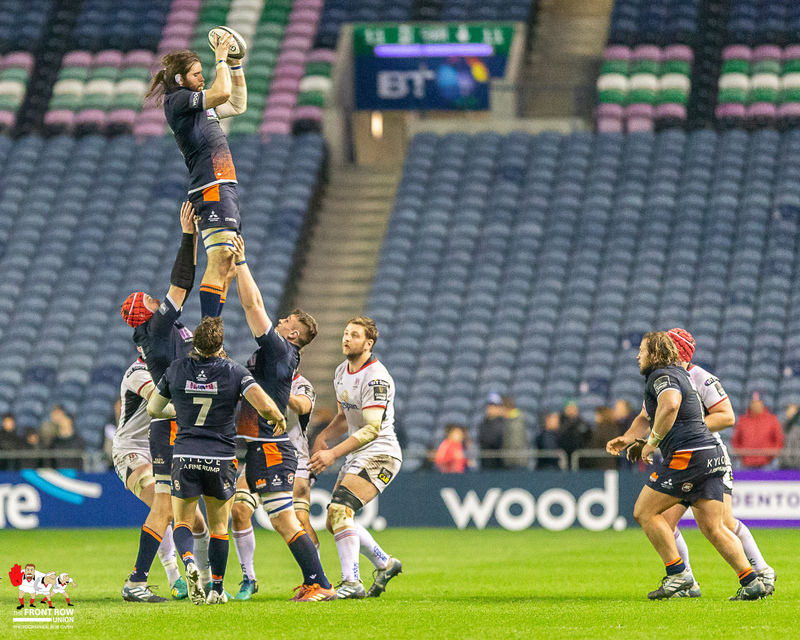 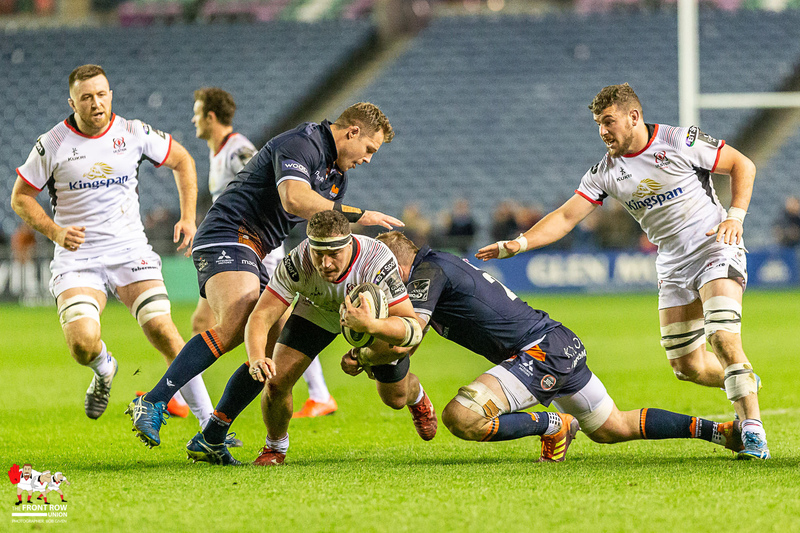 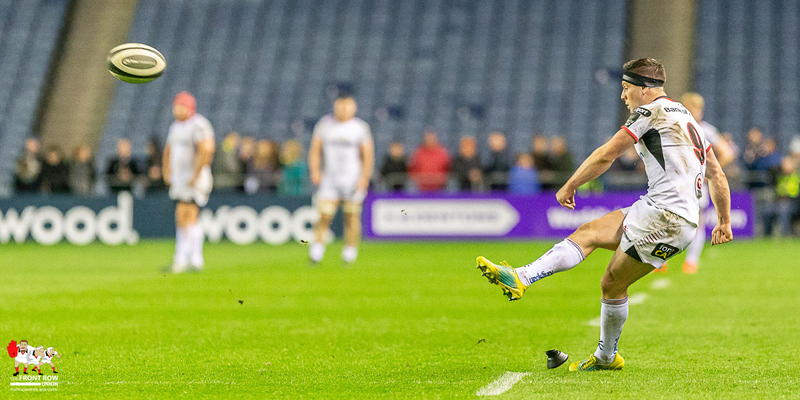 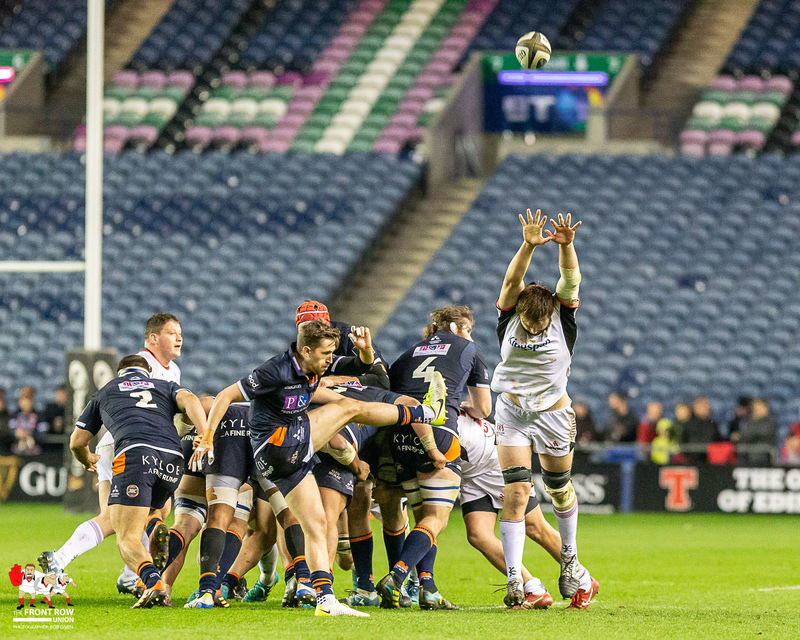 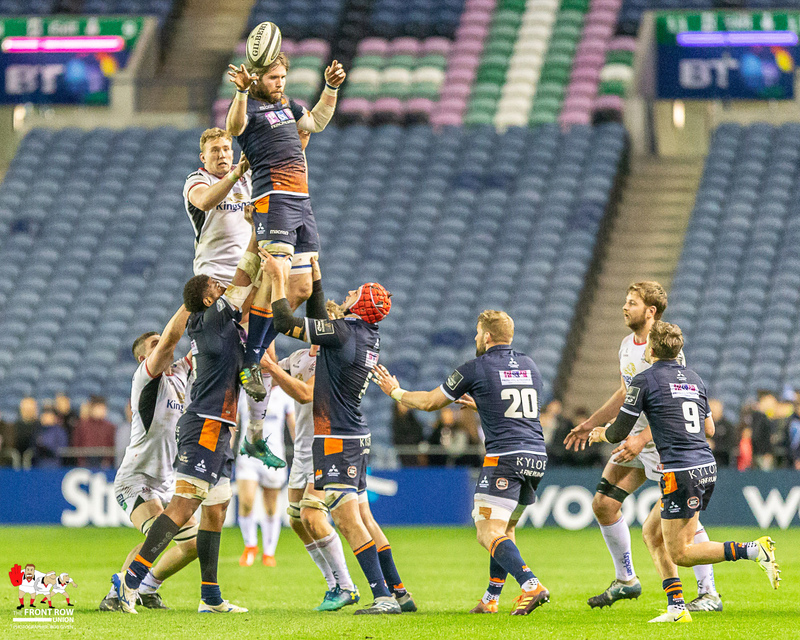 Ulster guarantee a top two finish with a convincing win against Edinburgh at Murrayfield on Friday nght. 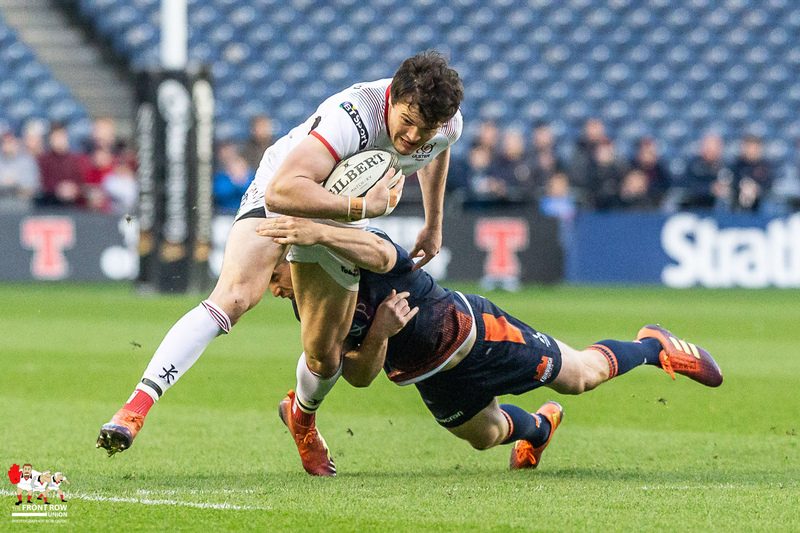 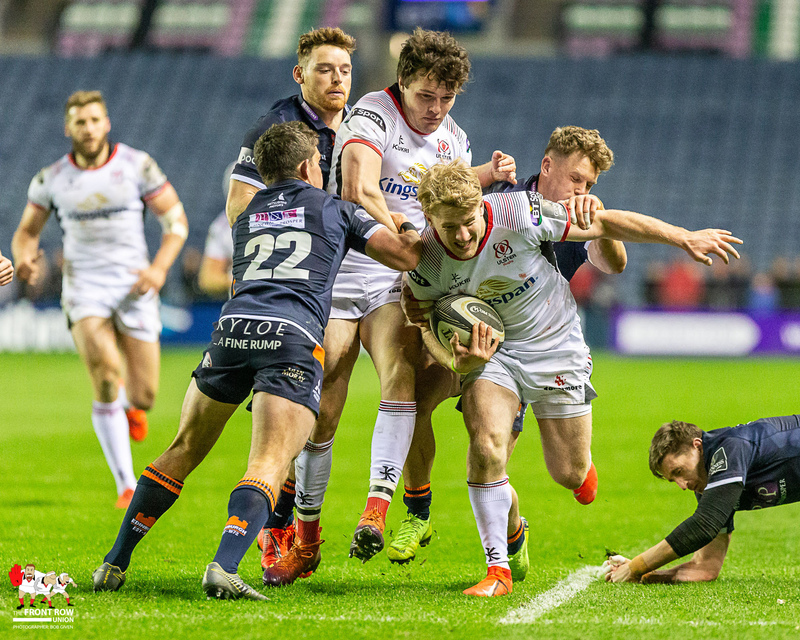 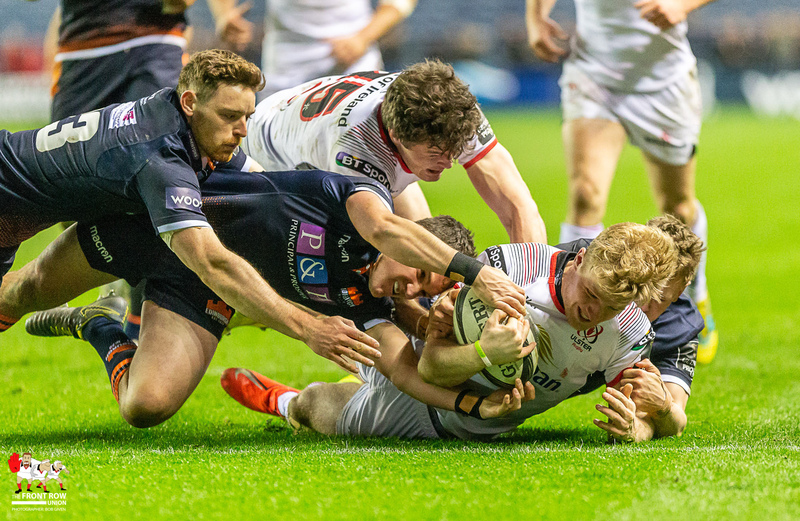 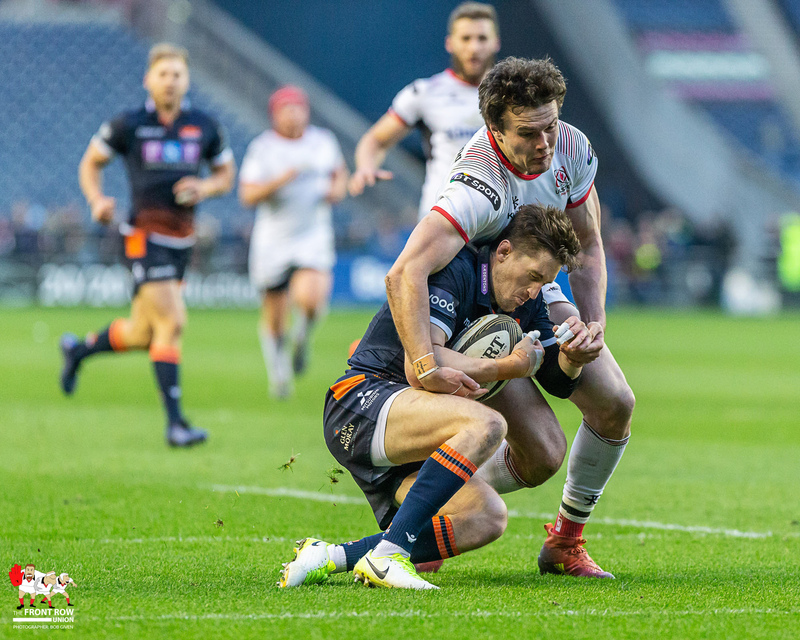 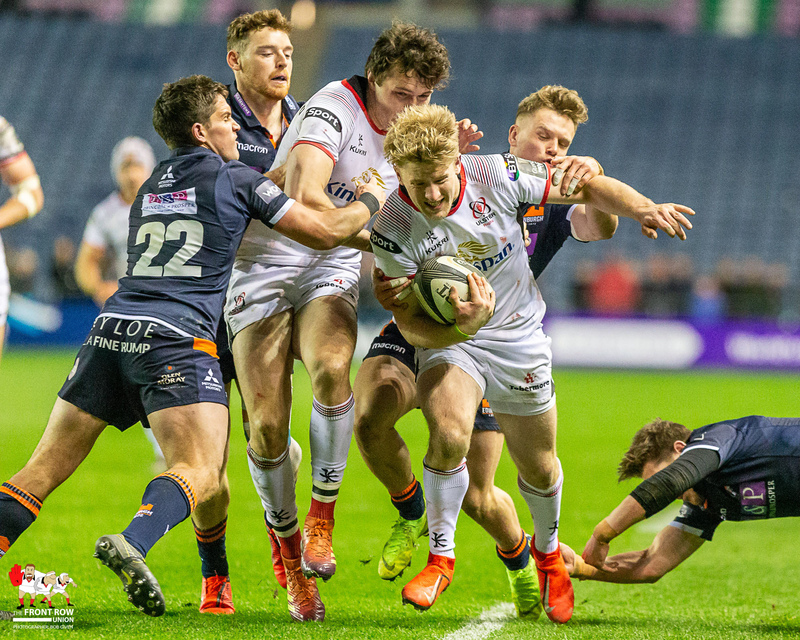 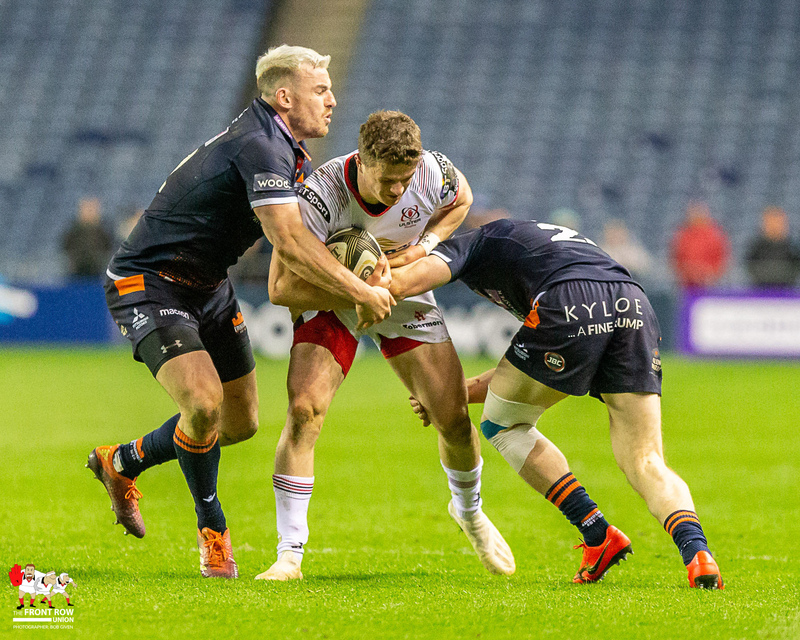 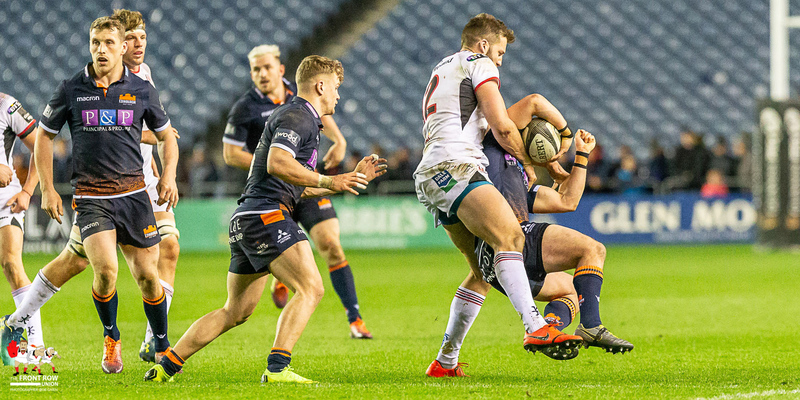 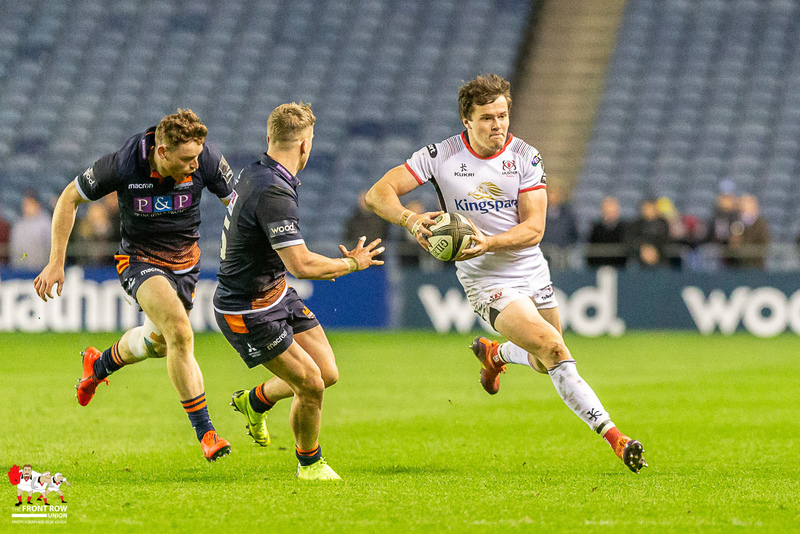 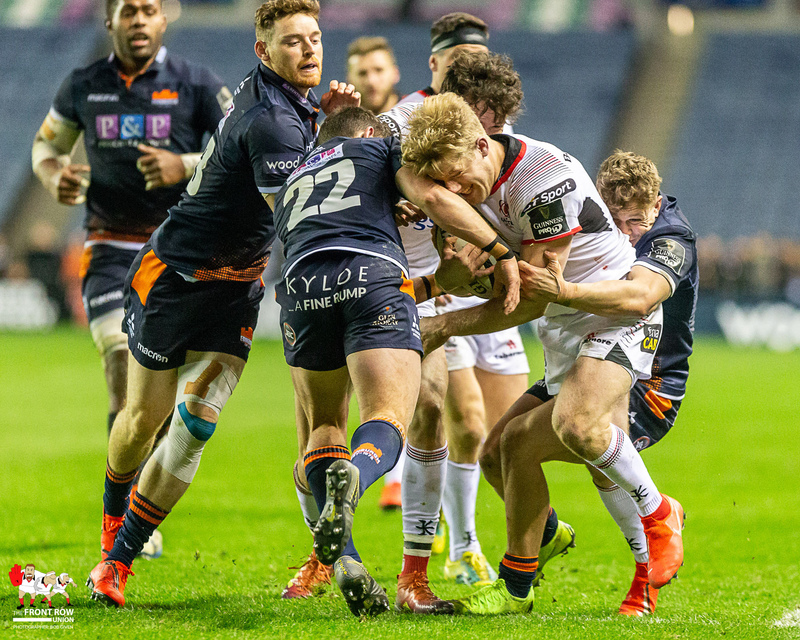 Ulster wrapped up second spot in Conference B with a bonus point win over league rivals Edinburgh at Murrayfield on Friday night. 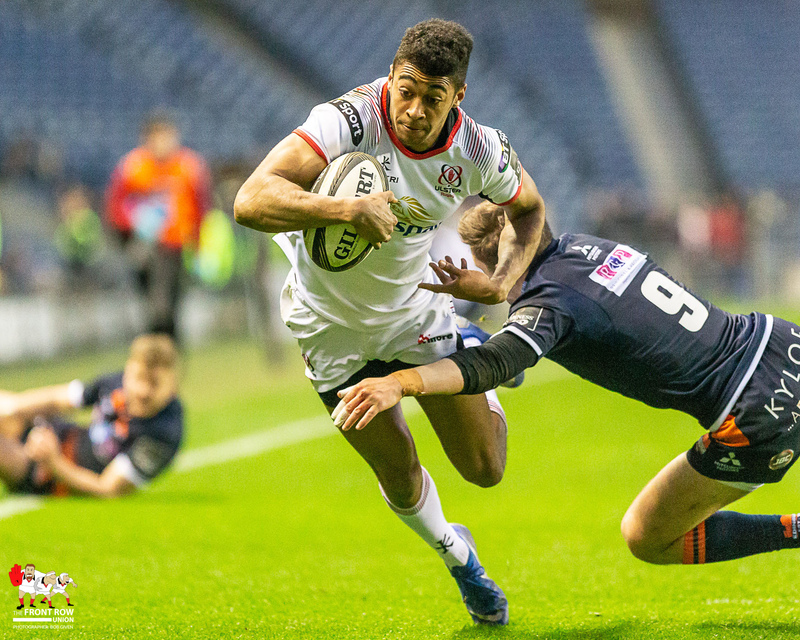 Jordi Murphy scored Ulster’s first try while Robert Baloucoune and Rob Lyttle added scores either side of the interval. 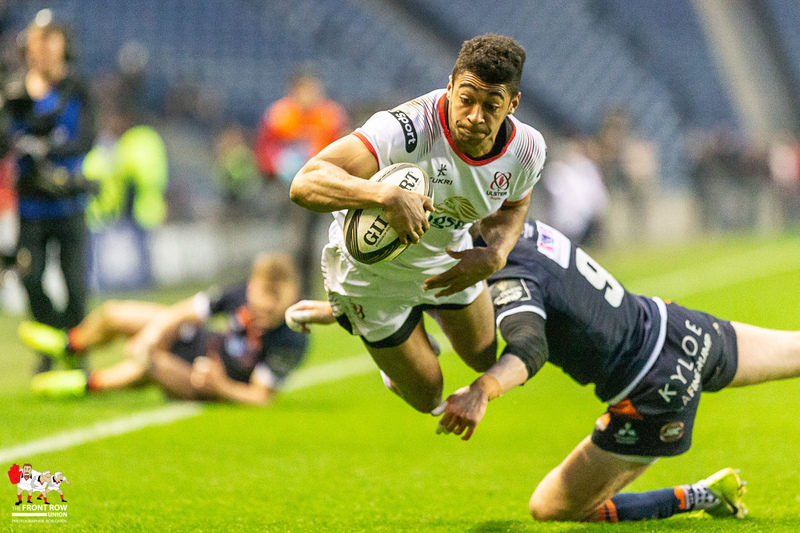 Billy Burns rounded off a wonderful team performance with his first try in an Ulster jersey three minutes before the end. 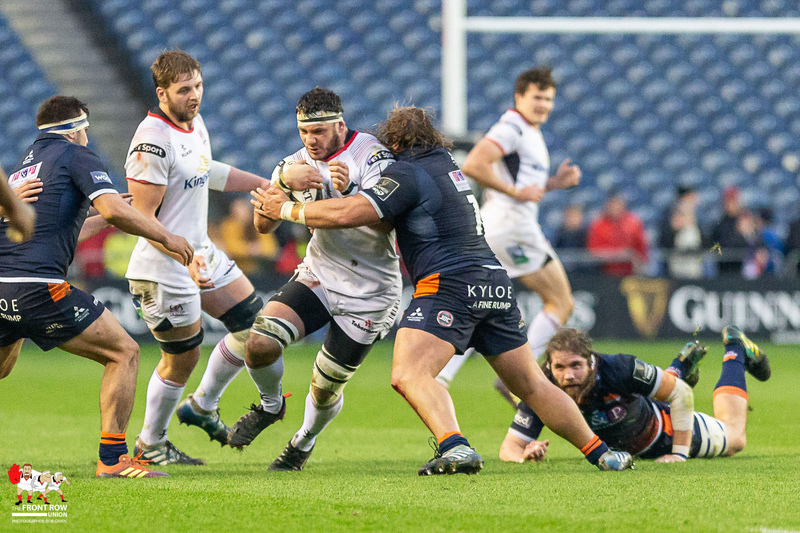 Like the two previous weeks, Ulster made a dominant start to the match thanks to powerful displays from Iain Henderson and Marcell Coetzee. 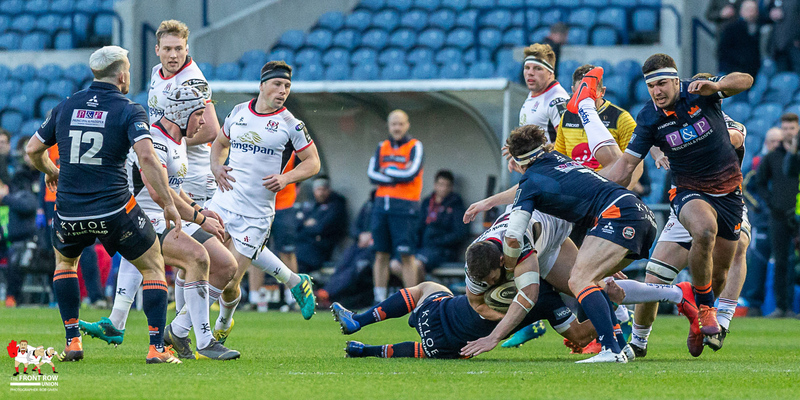 John Cooney nudged through a penalty before Ulster opened their try scoring account through Jordi Murphy. 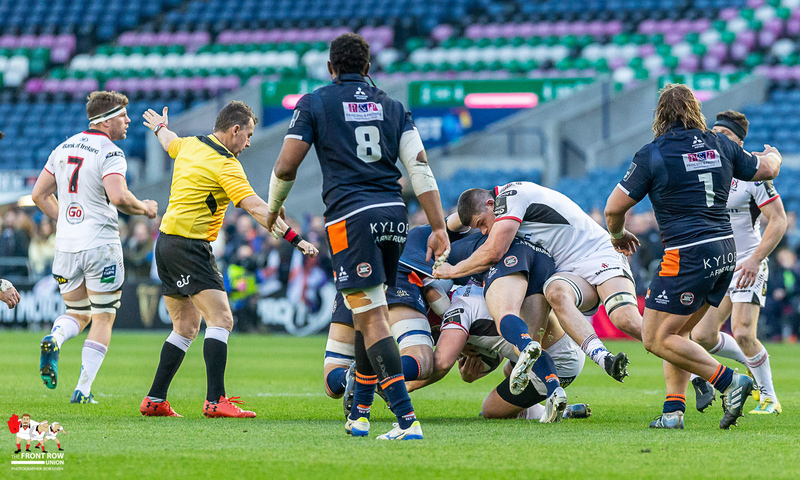 The openside reacted quickest to a loose ball after the ball was stripped from Nick Timoney. 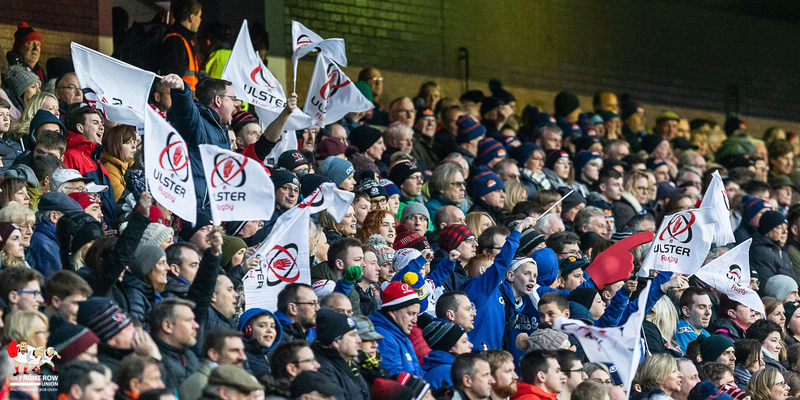 Ulster were well worth their early lead as the pack lead from the front. 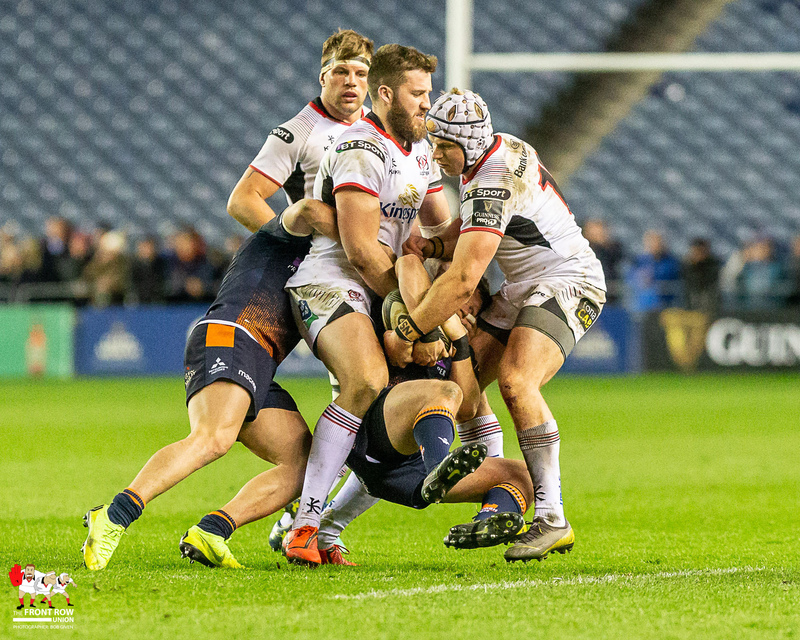 Ball carrying was a feature throughout the game and gave Ulster a good platform to attack from. 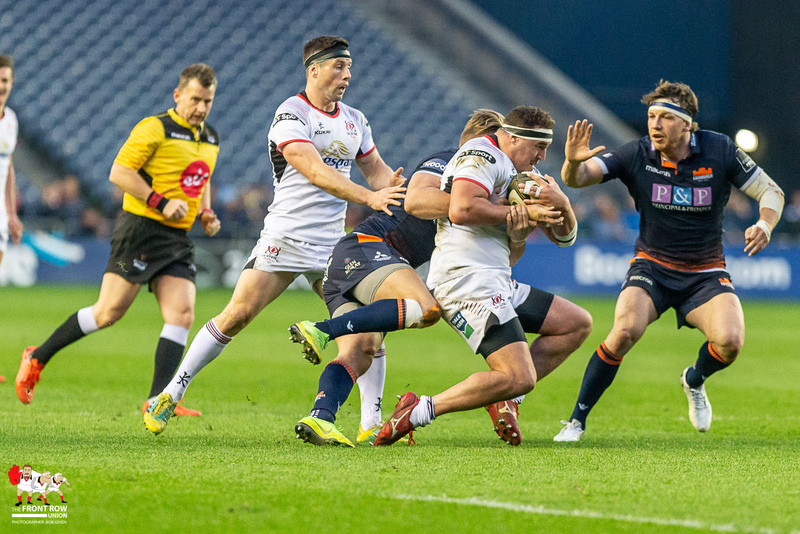 While last week isolated ball carriers was prevalent and gave Glasgow easy turnover ball, the protection for the plus one pop pass was much better therefore allowing Ulster to generate good momentum. 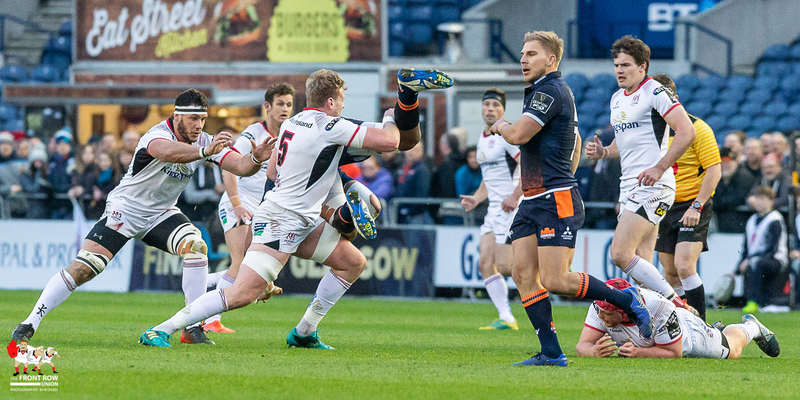 Jordi Murphy reacts quickest for Ulster’s first score. 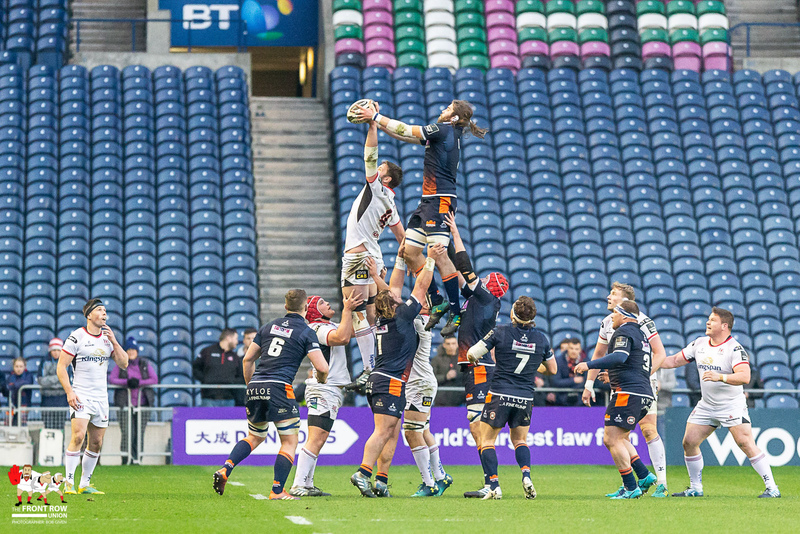 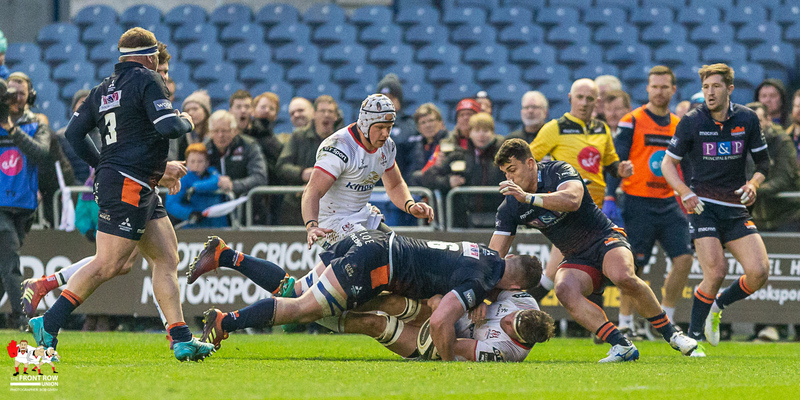 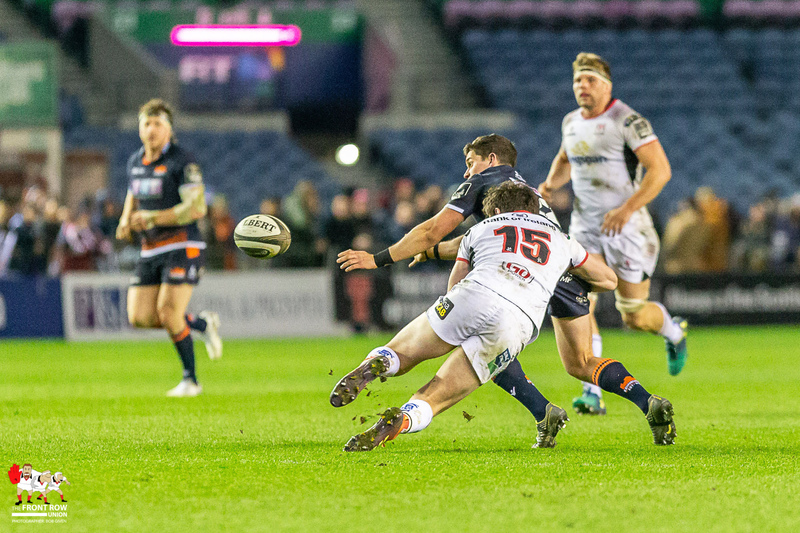 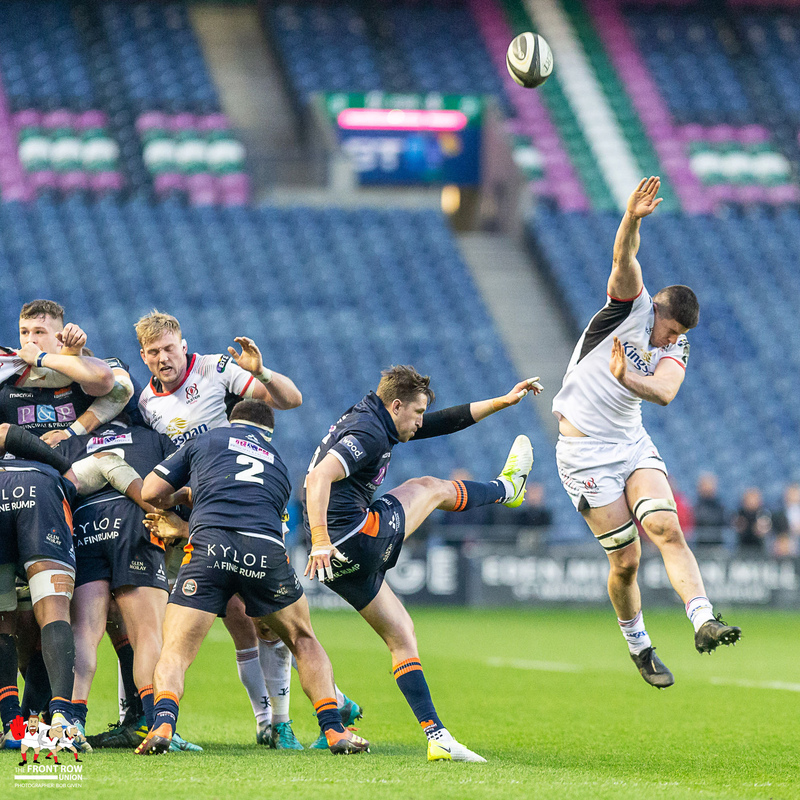 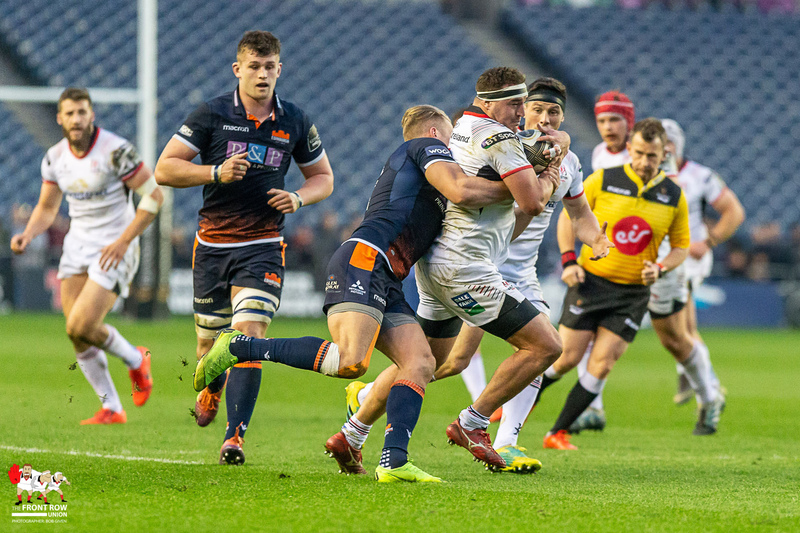 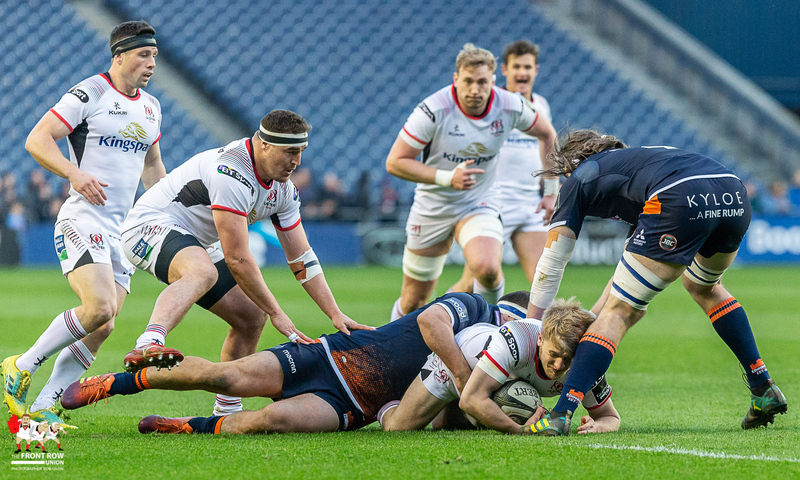 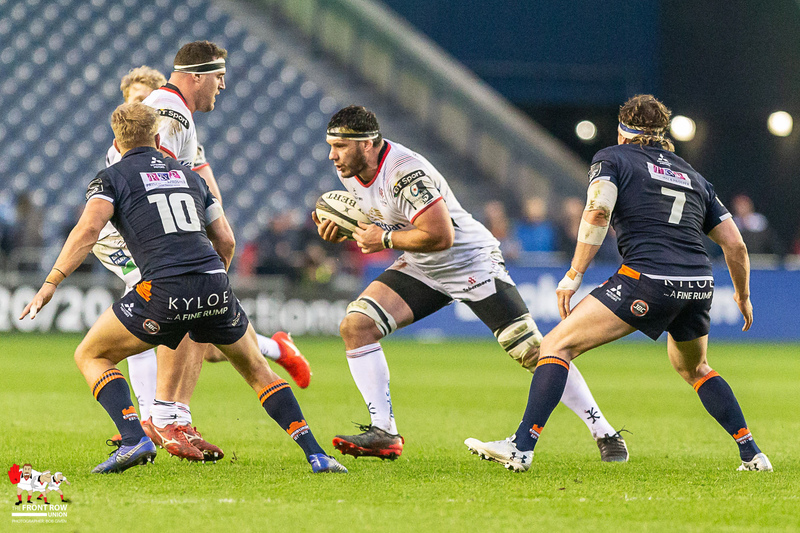 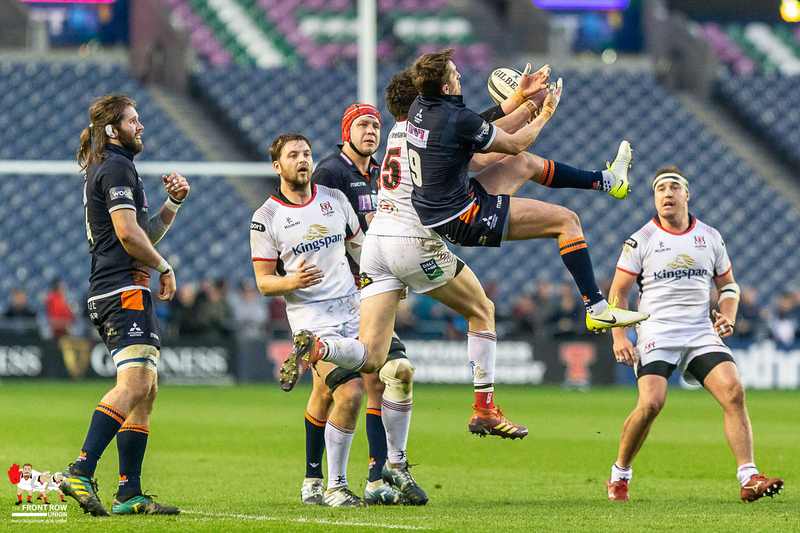 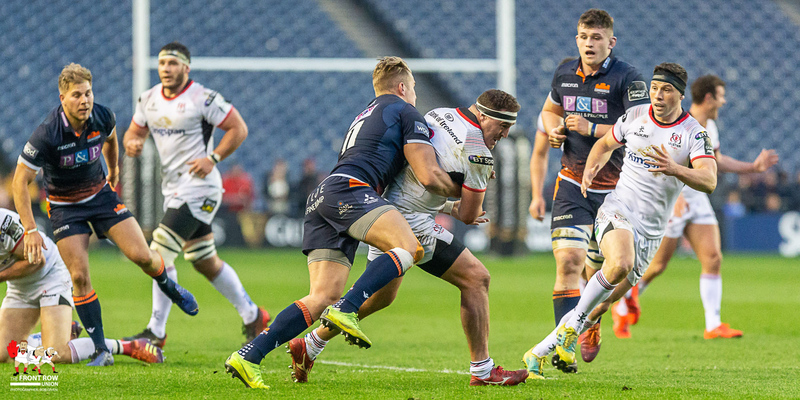 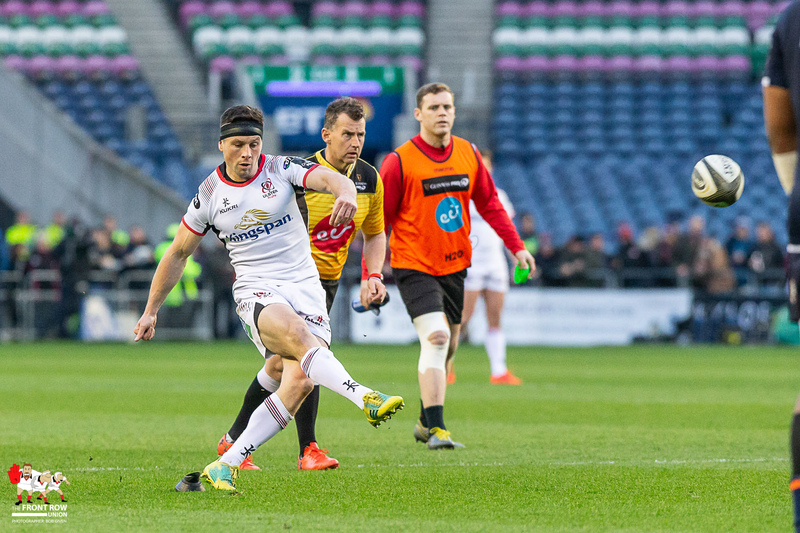 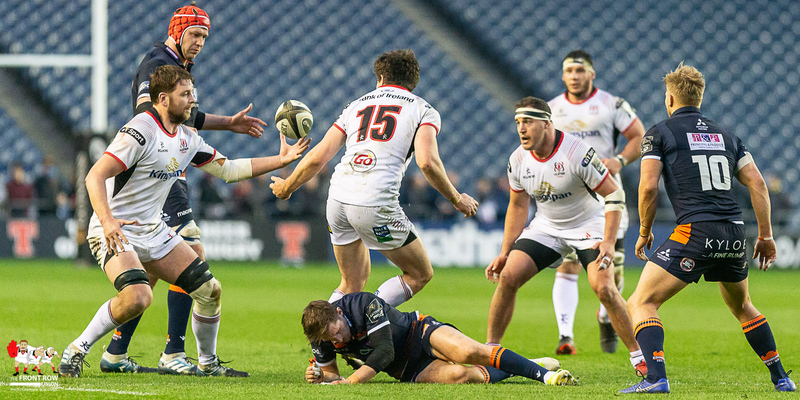 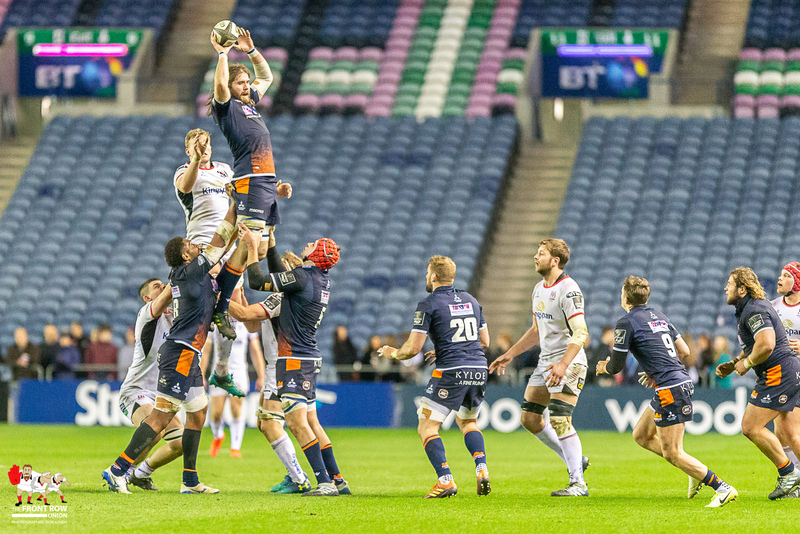 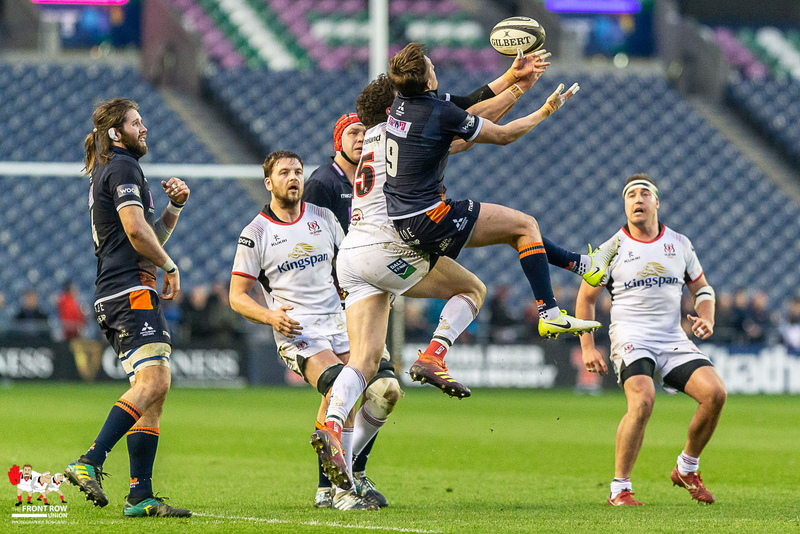 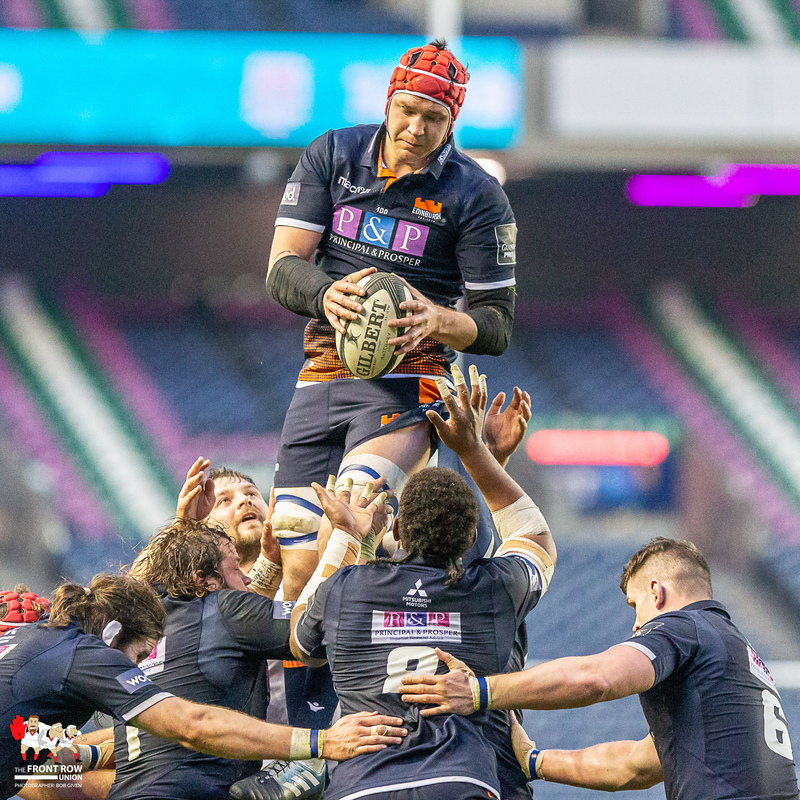 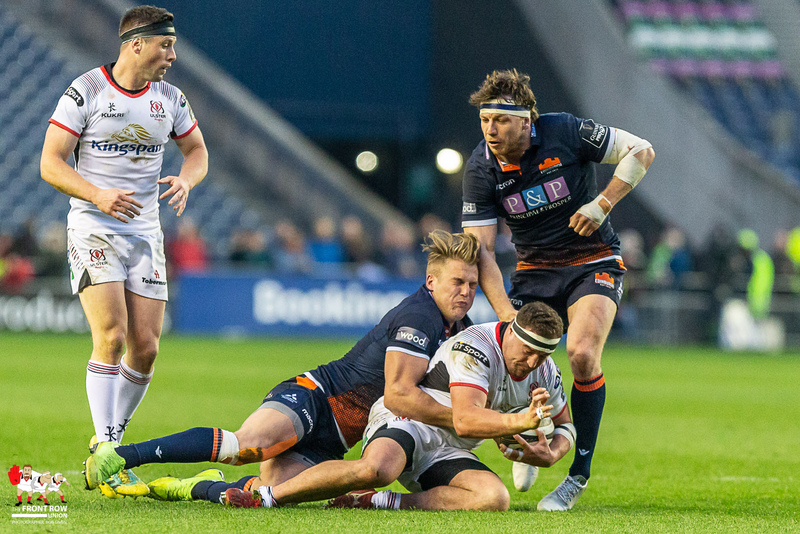 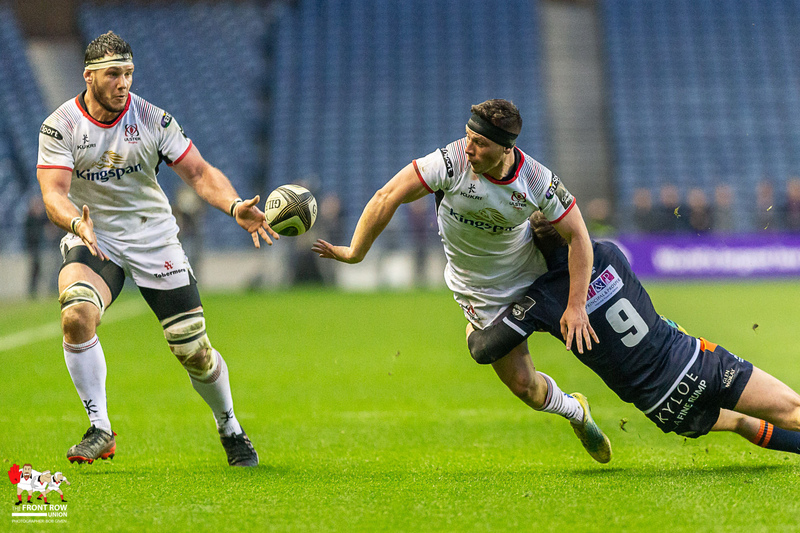 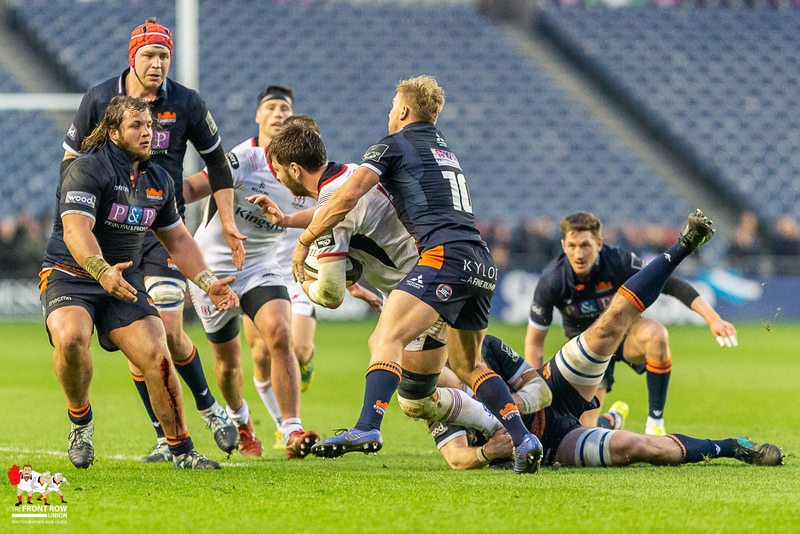 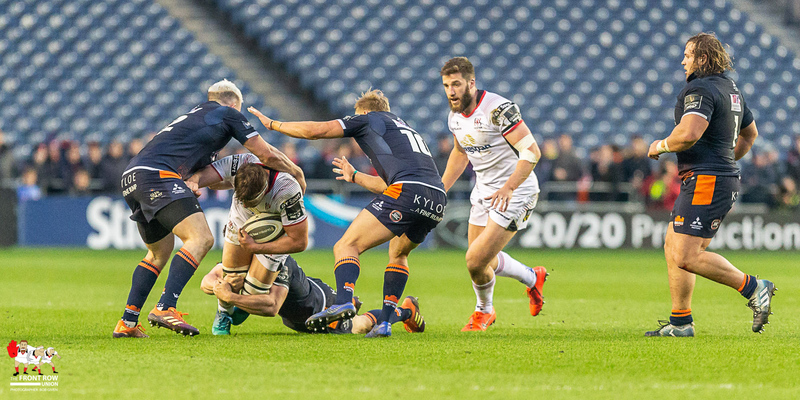 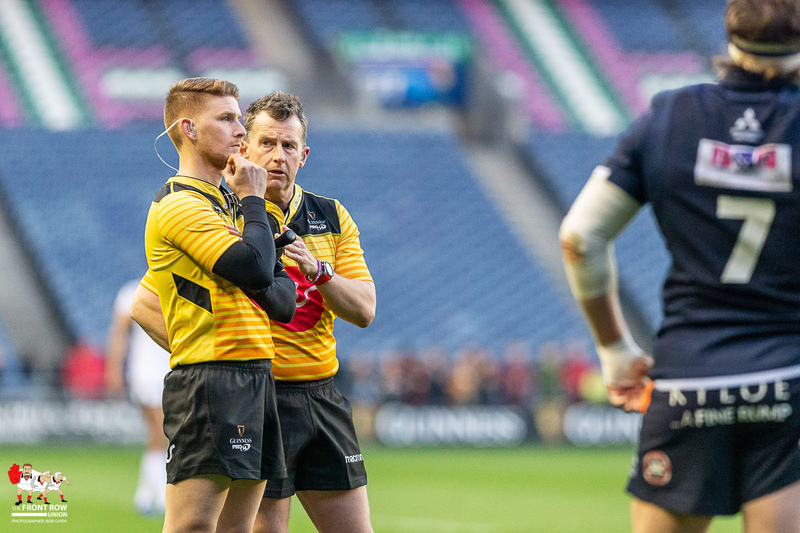 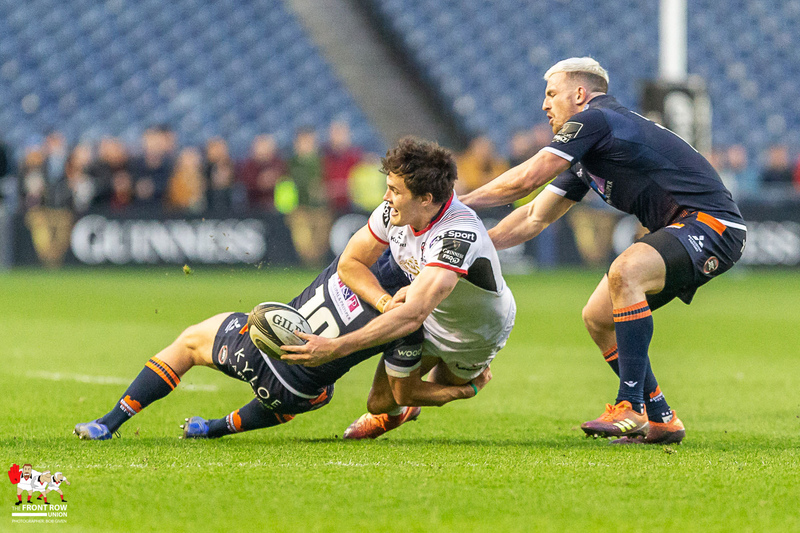 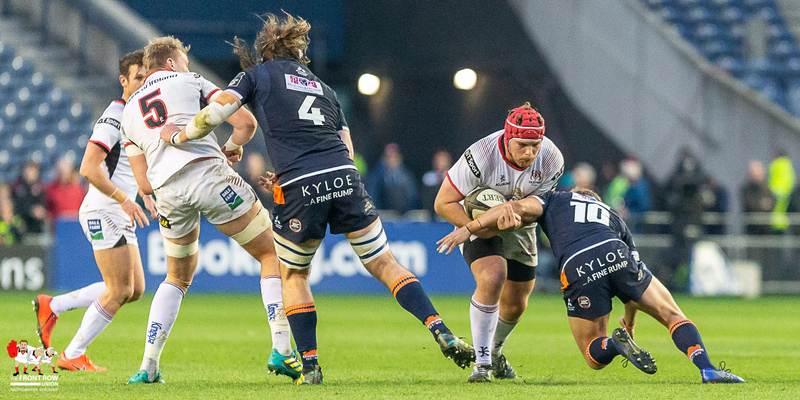 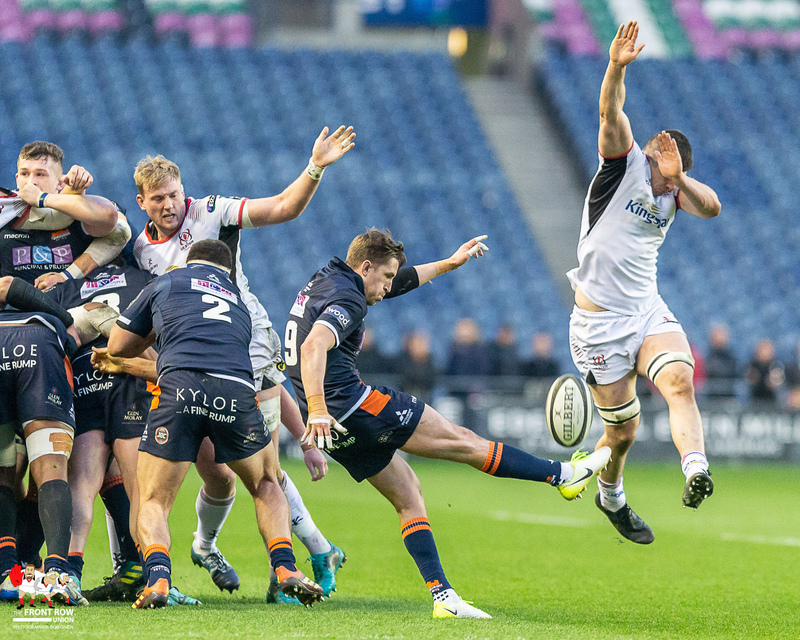 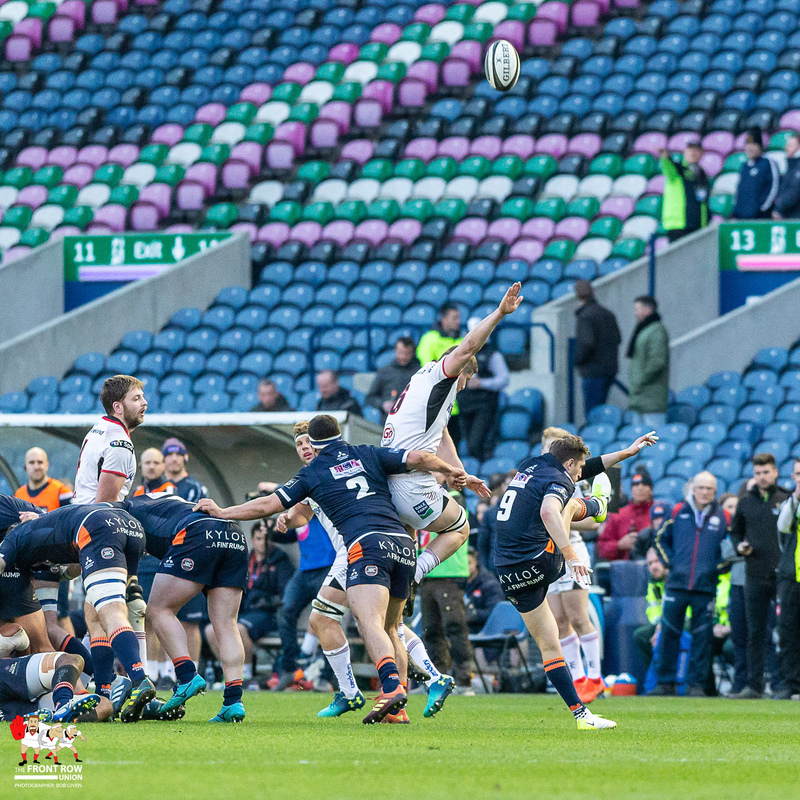 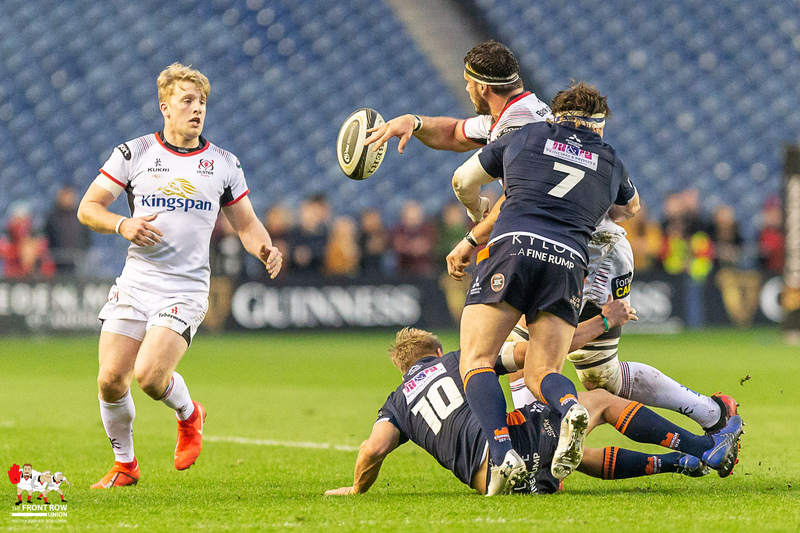 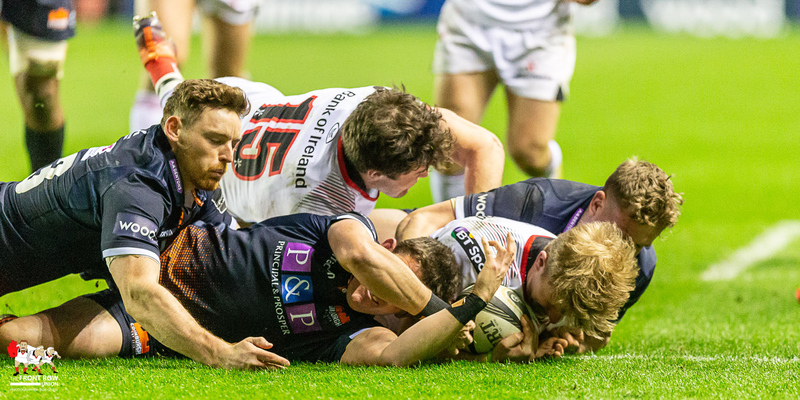 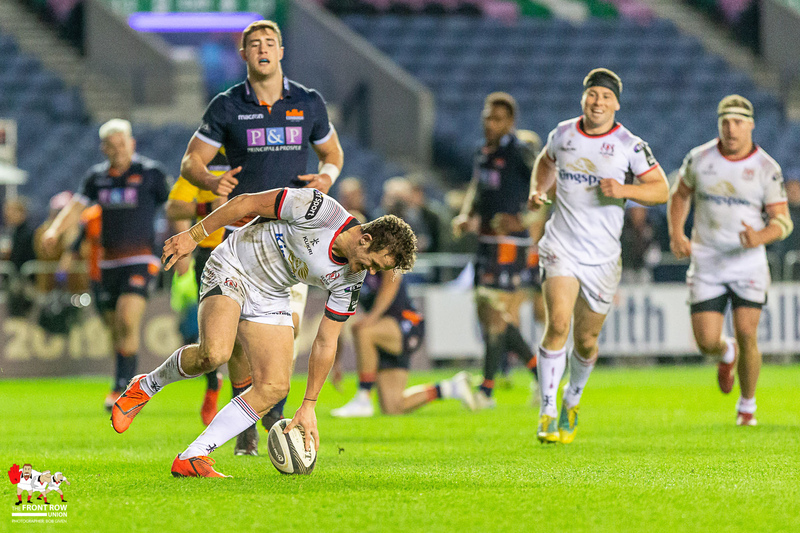 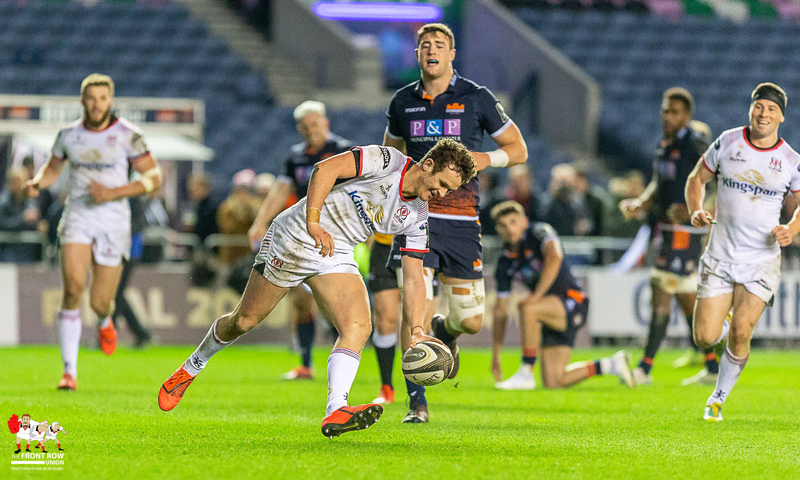 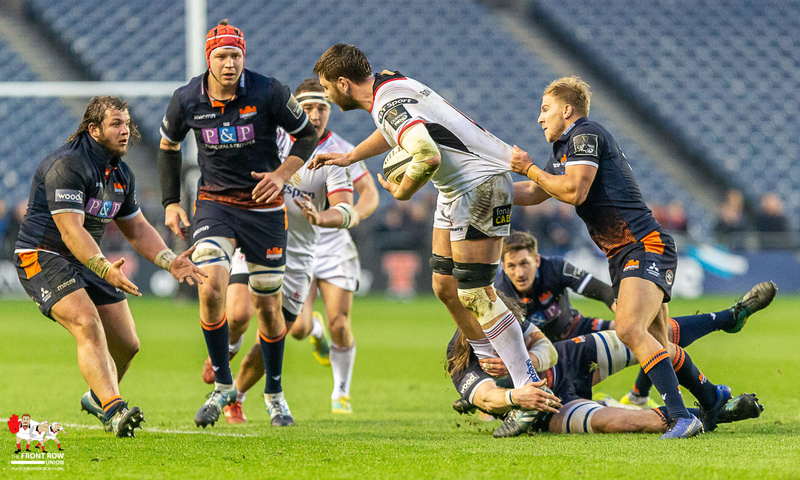 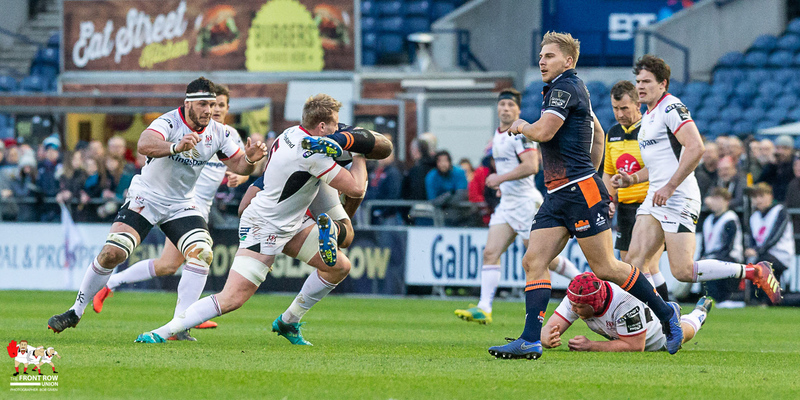 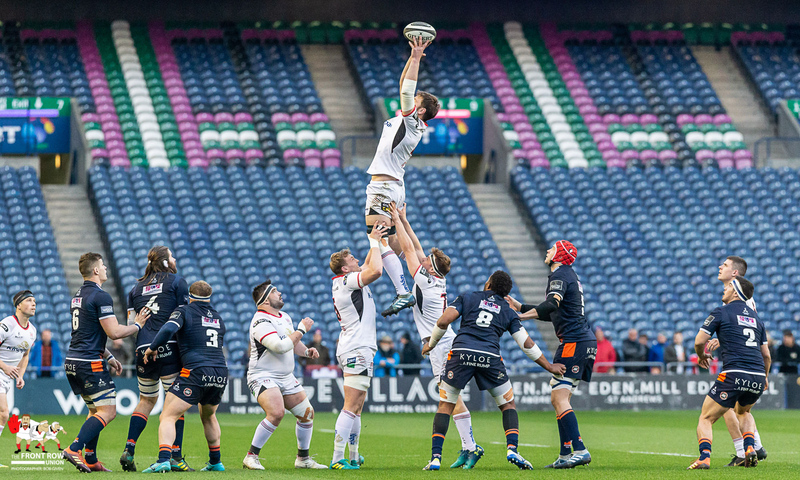 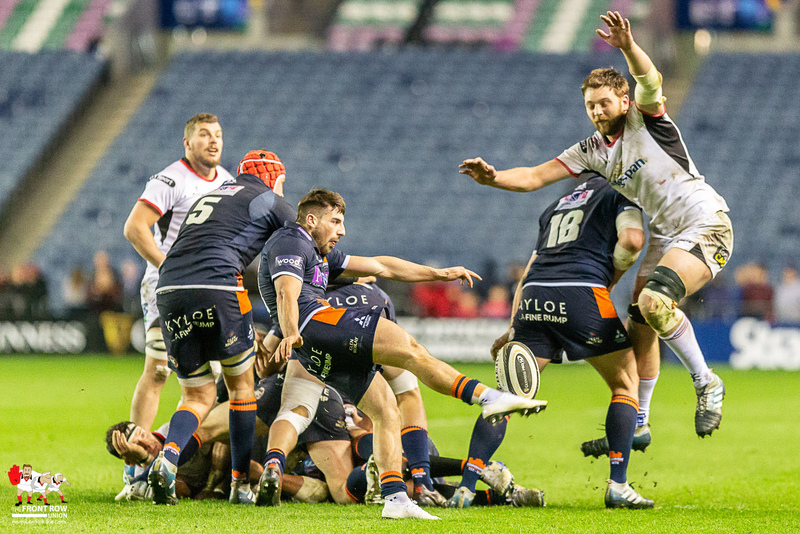 Ulster kept out a flurry of Edinburgh attacks which culminated in Jaco van der Walt hitting the post with a penalty kick midway through the half. 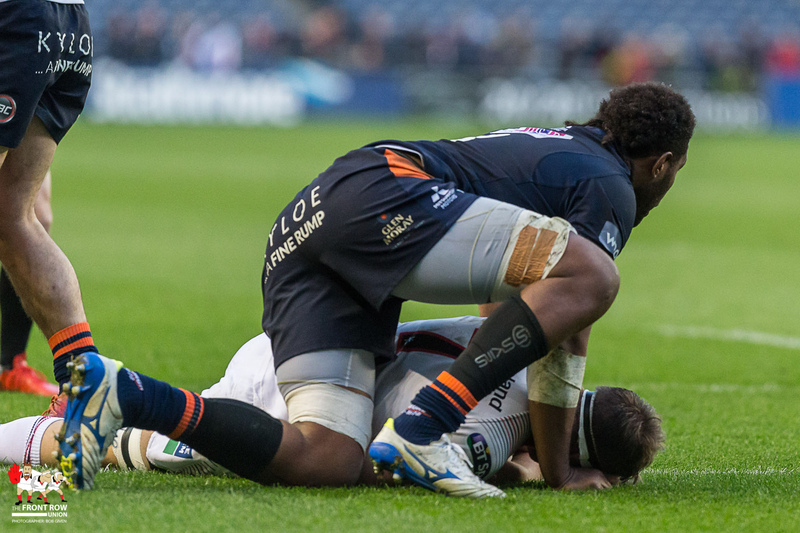 They finished the half with a flourish thanks to a magnificent individual try from Robert Baloucoune. 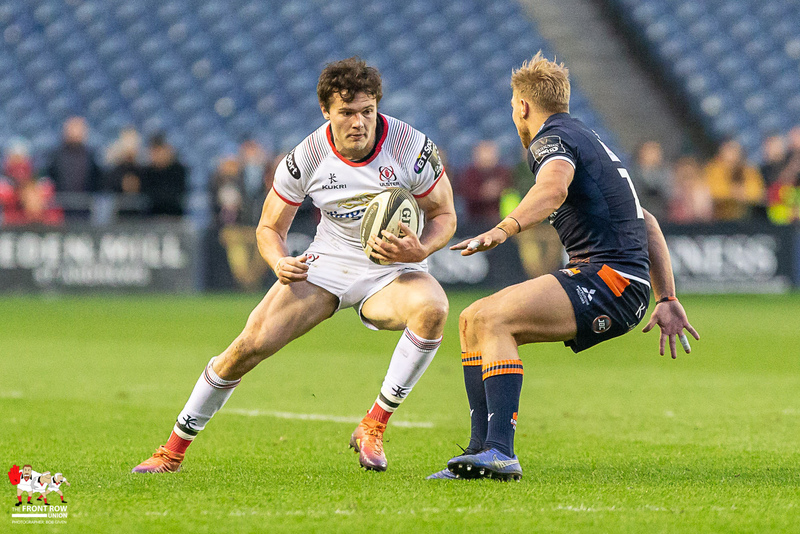 The Enniskillen man picked the ball up on the 22m line and showed exceptional pace to outpace Darcy Graham on the outside and finish in the corner. 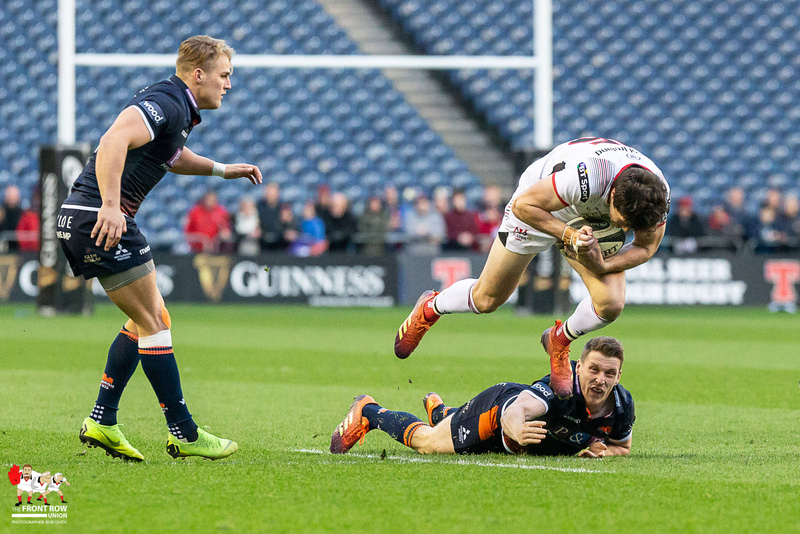 While Edinburgh had come from 12-0 down at half time last week, this week seemed a different prospect with Ulster in full flight. 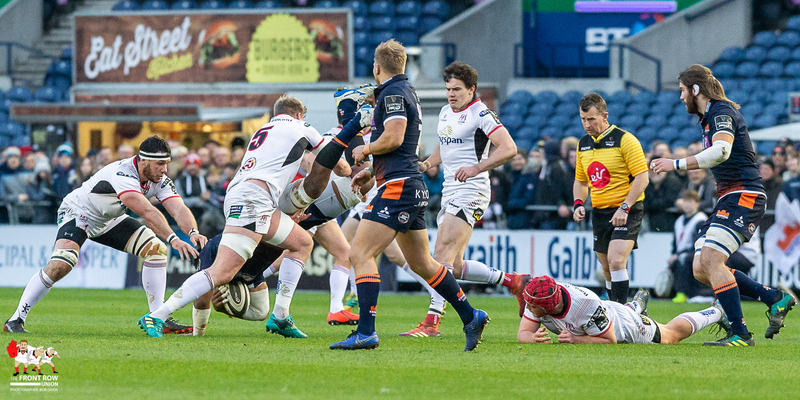 It was crucial that Ulster were first on the board in the second half to kill off any hint of a Scottish come back and it took fourteen minutes to do so. 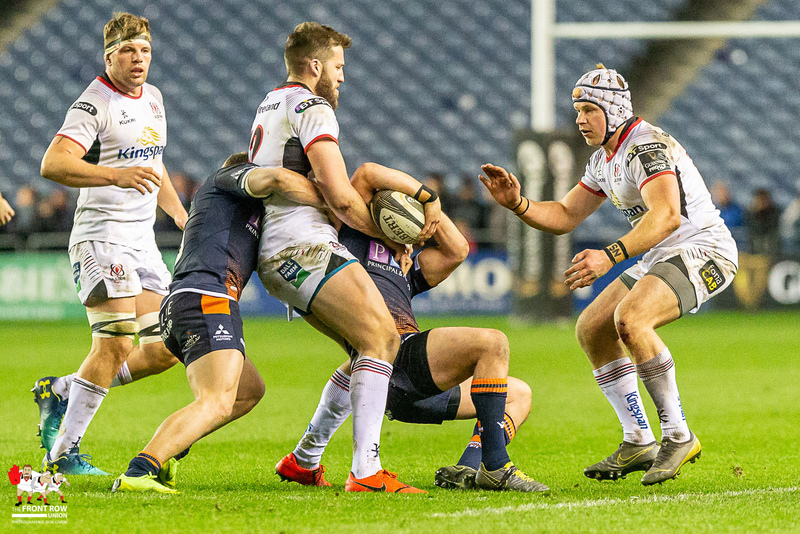 Rob Lyttle extends Ulster’s lead. 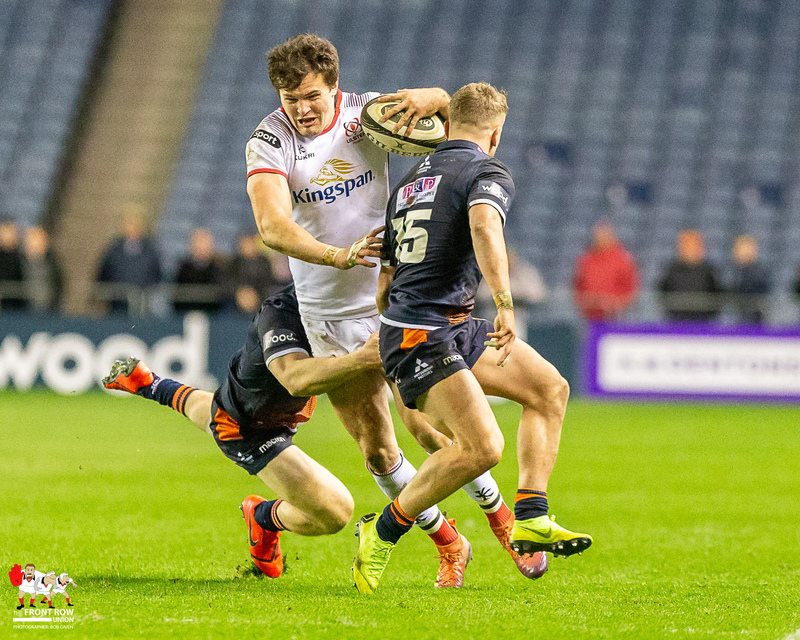 Jacob Stockdale was a threat all night and attracted multiple defenders freeing up space on the outside. 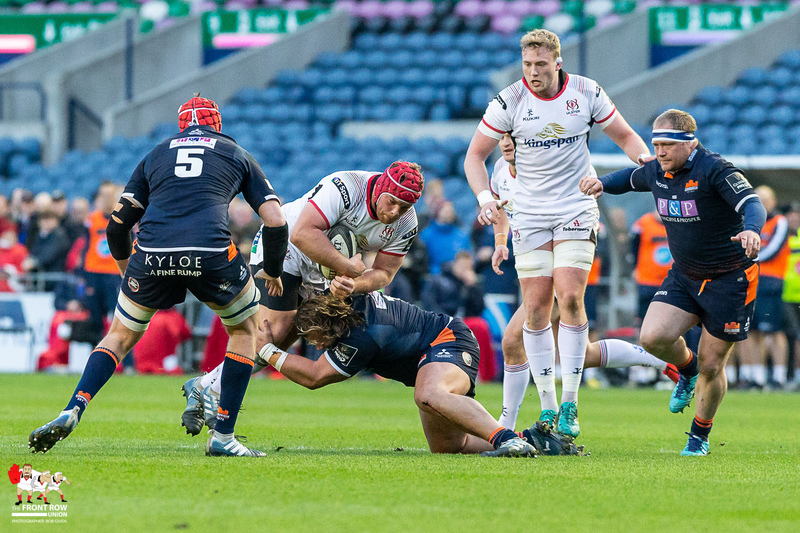 This created space for both Baloucoune and Rob Lyttle with the former making two breaks and beating two defenders while the latter beat eight tacklers, making four clean breaks in the process. 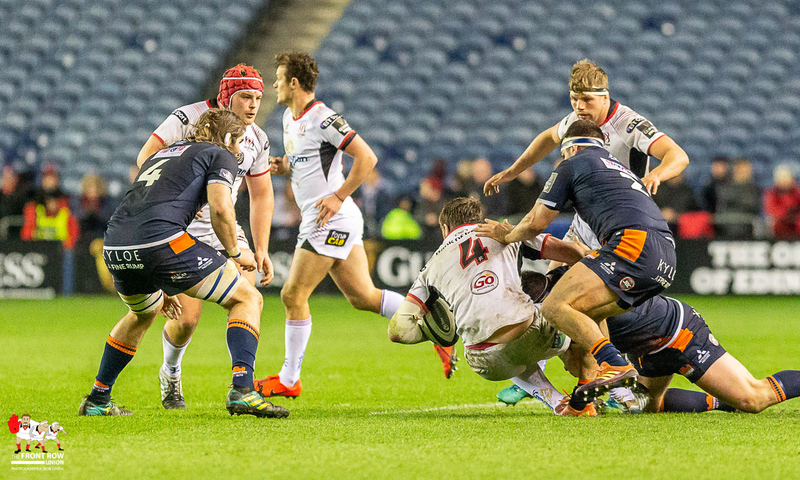 It was a similar story for the third try. 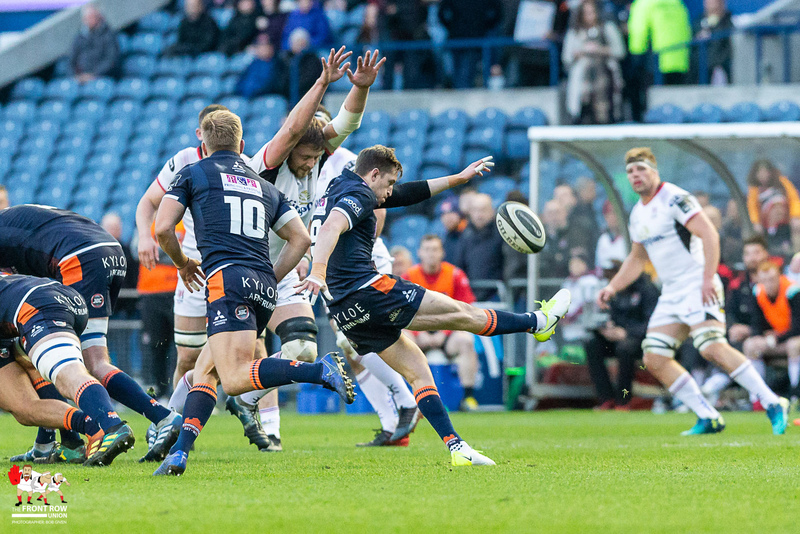 Stockdale had George Taylor backpedaling forcing Darcy Graham to come in as cover. 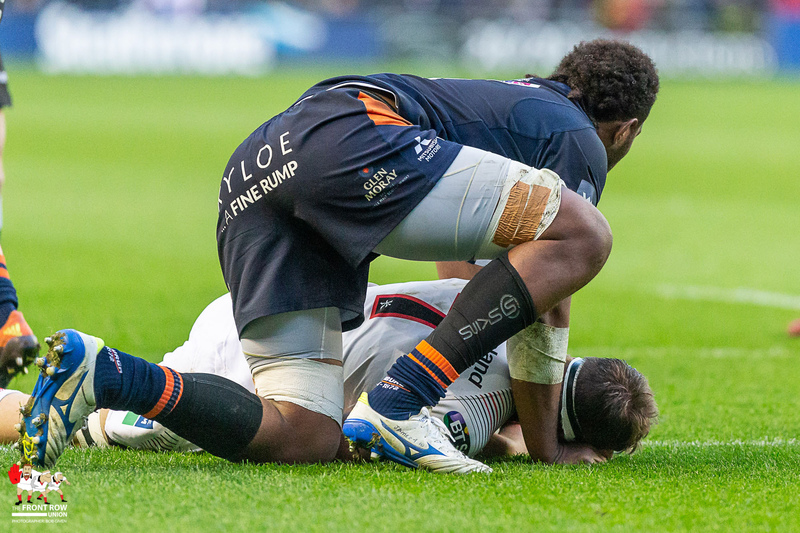 Stockdale fed Lyttle who had enough power and speed to bundle over the line. 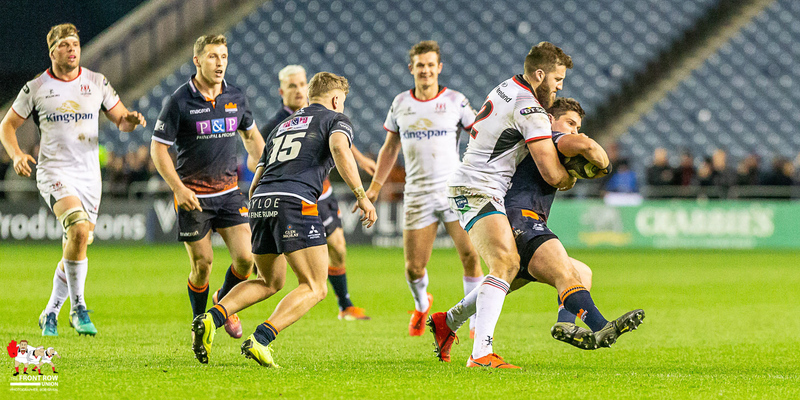 Edinburgh responded two minutes later through John Barclay but the Ulstermen held their nerve in the remaining 20 minutes. 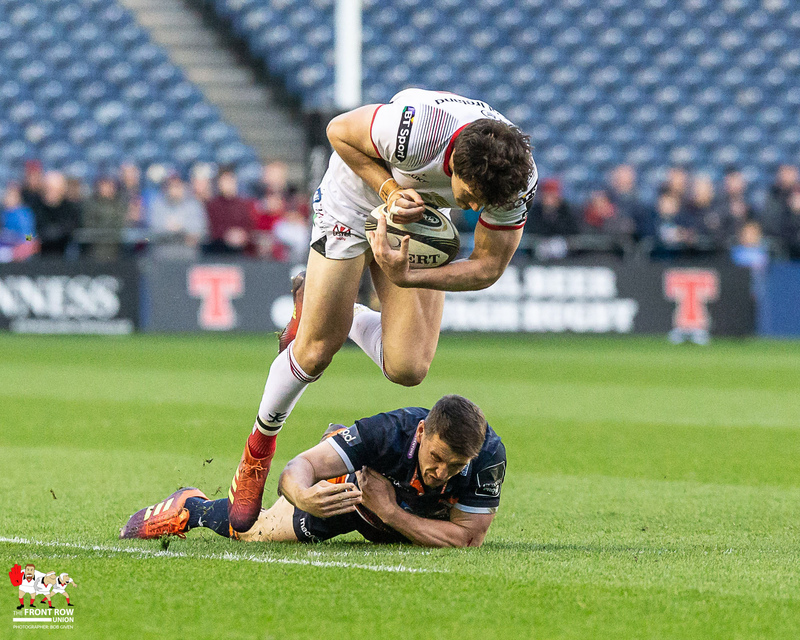 Billy Burns wraps up the bonus point win for Ulster. 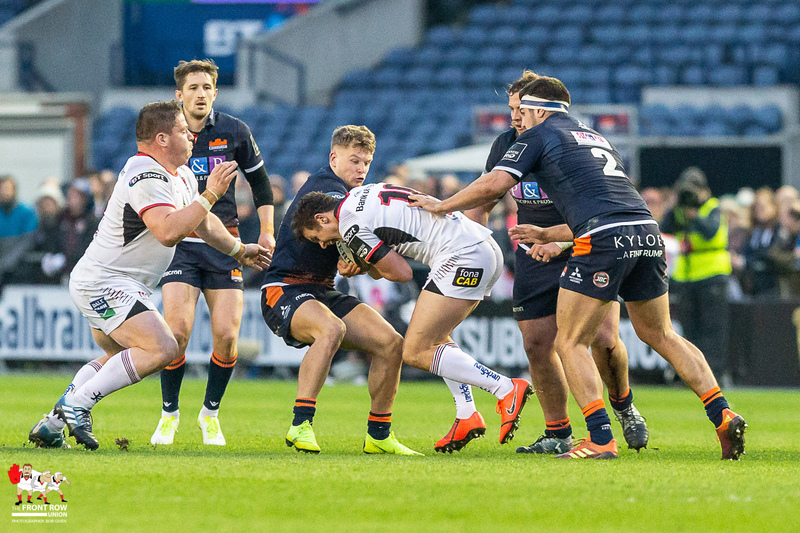 Billy Burns secured the bonus point for the northern province with two minutes left on the clock, rounding off an excellent performance. 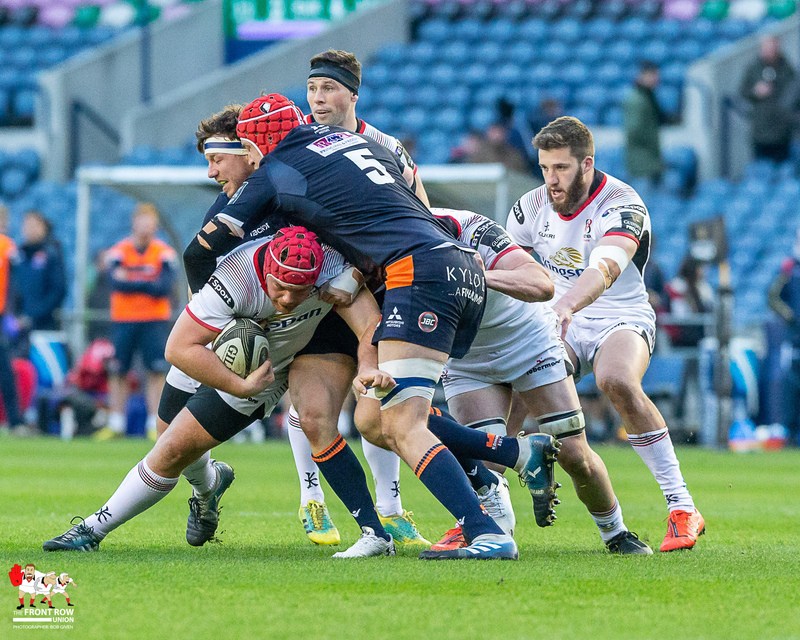 The pressure is off ahead of the Leinster match in two weeks time with a home quarter final already secured. 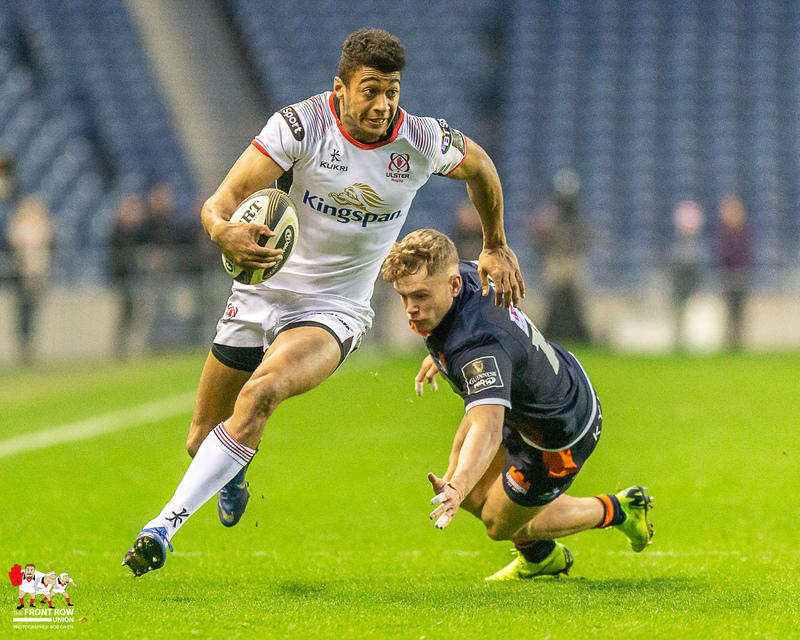 While it would be nice to avenge the European exit, I’d be inclined to rest a few players ahead of the quarter final against Connacht the week after. 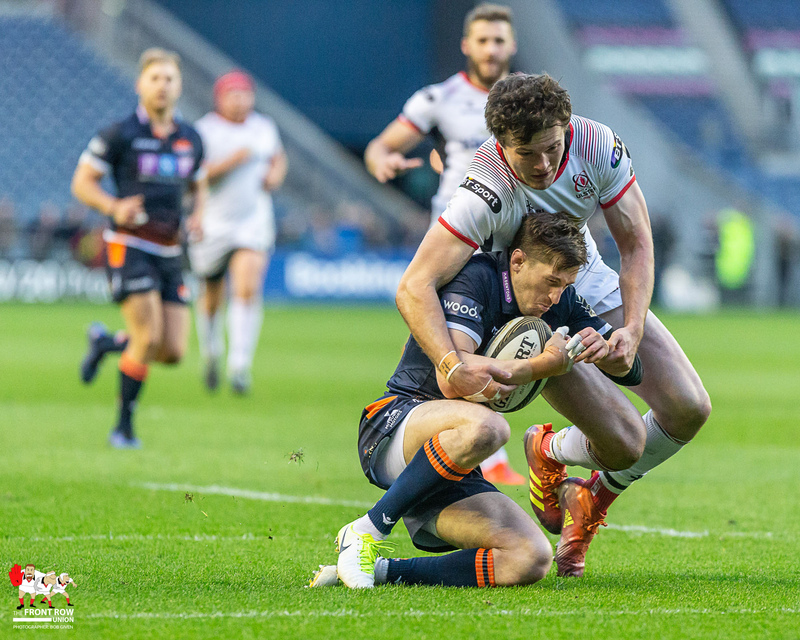 Not many people would have expected Ulster to qualify from their European group as well as finishing second in their conference this time last year. 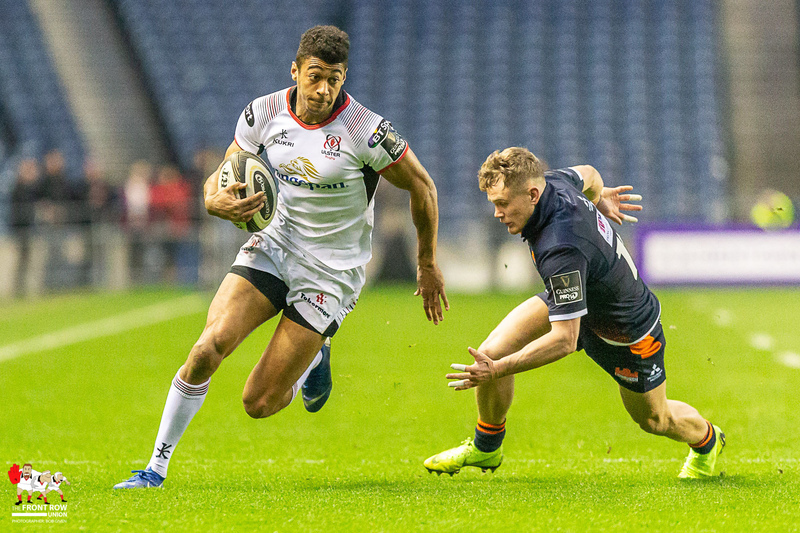 As the season has progressed, McFarland is showing his worth and is taking this talented bunch of players to the next level, ably assisted by Dwayne Peel, Niall Malone and Jared Payne. 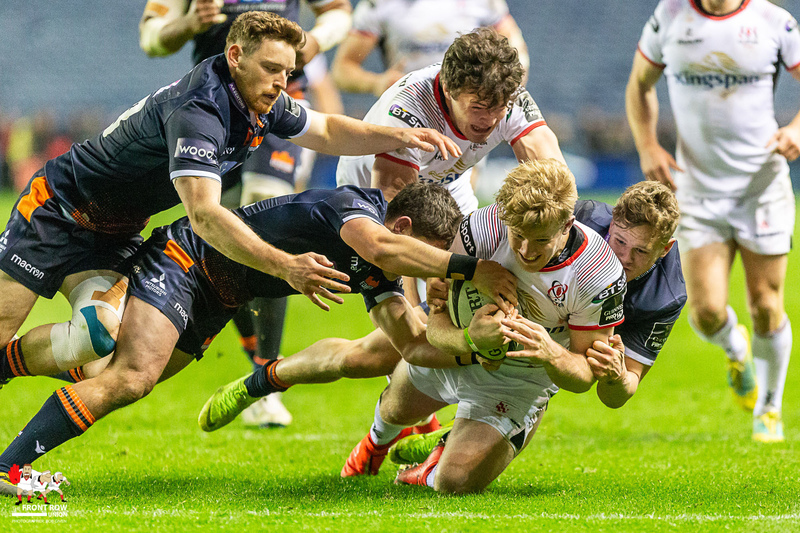 Facing Connacht at home on 3rd/4th May, Ulster have a real chance of making the semi final for the first time since 2015. 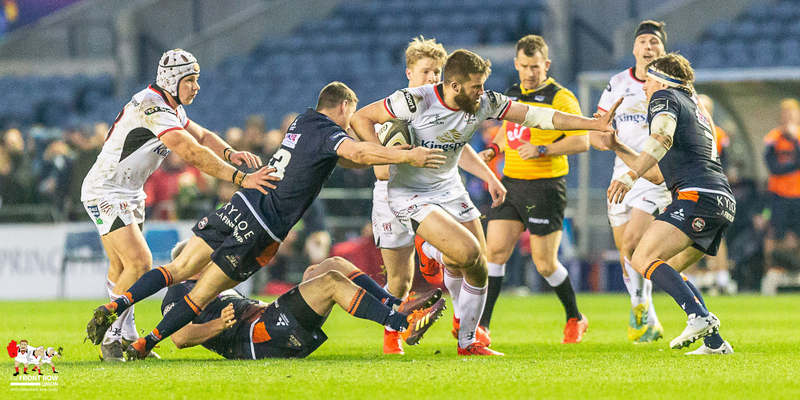 Iain Henderson showed how crucial he is to this Ulster side with a second man of the match award of the season. 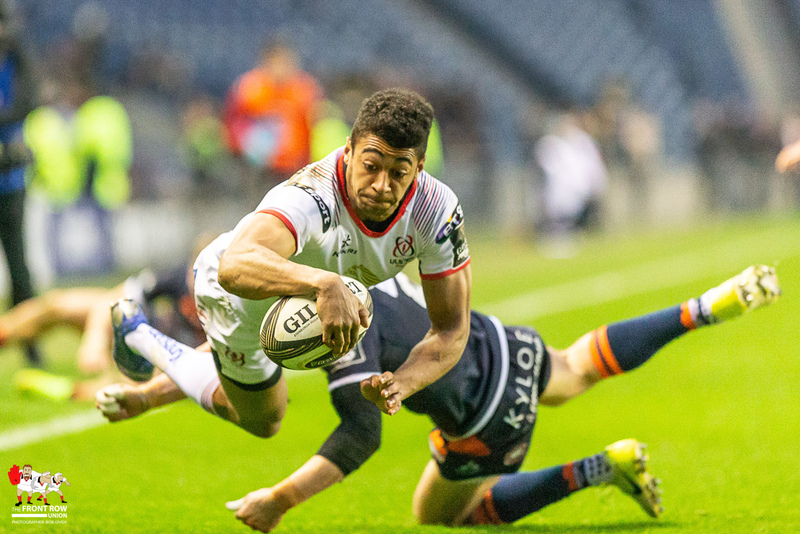 He was terrific in the loose as well in defence and was the heart beat of this fine team performance. 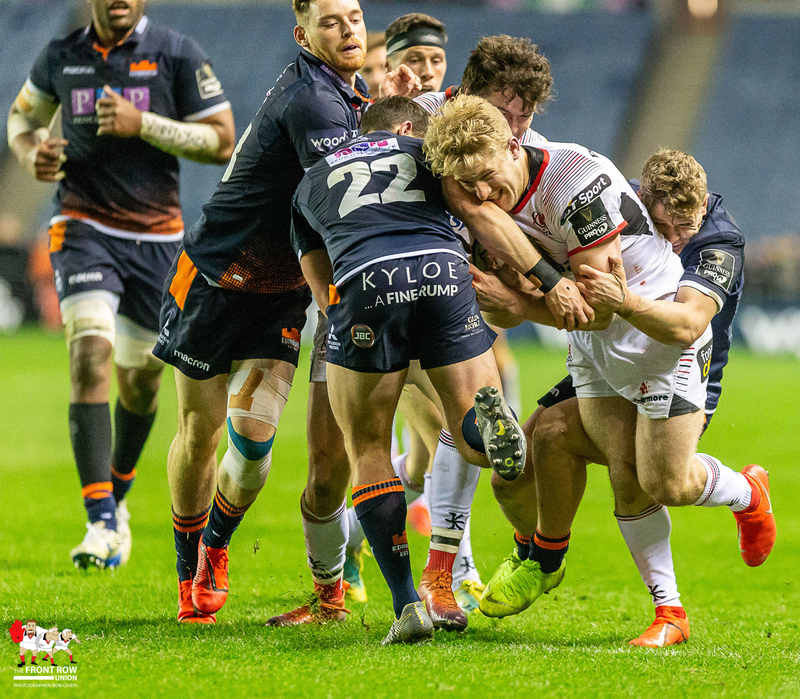 I would love to know how many dominant tackles Luke Marshall made on Friday night as he was the linchpin in a super defensive performance from the backs. 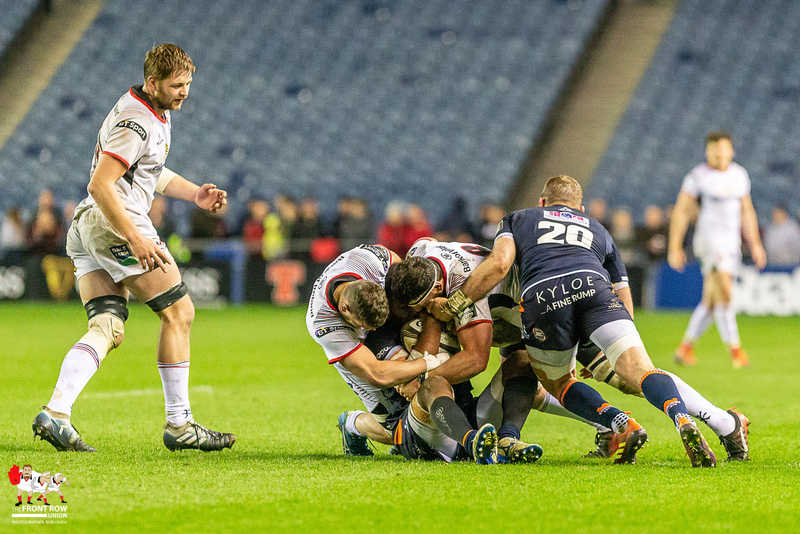 His only lapse came for the John Barclay and if it wasn’t for that he would have been my man of the match. 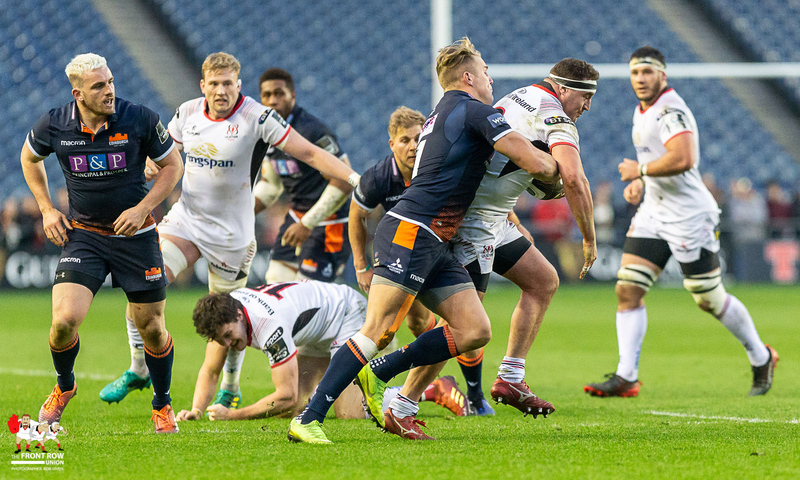 Billy Burns controlled proceedings from ten extremely well while the back row of Timoney, Murphy and Coetzee got through the usual mountain of work. 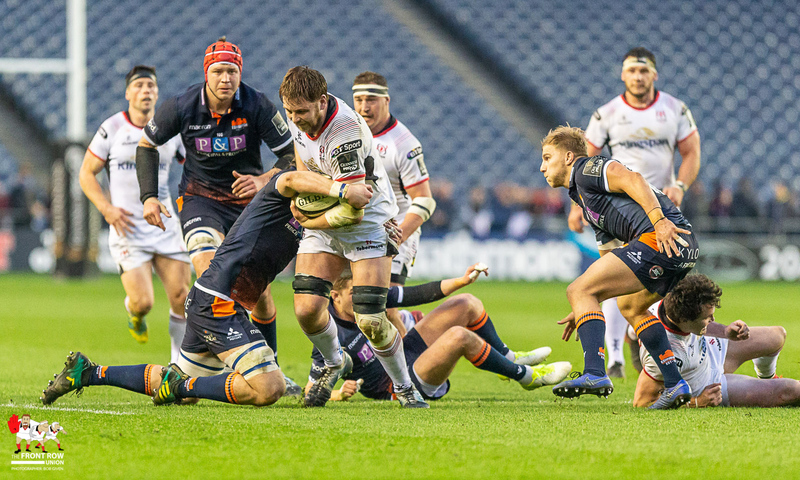 Stockdale’s presence worried the Edinburgh backline and created space for Lyttle and Baloucoune who also had great performances.